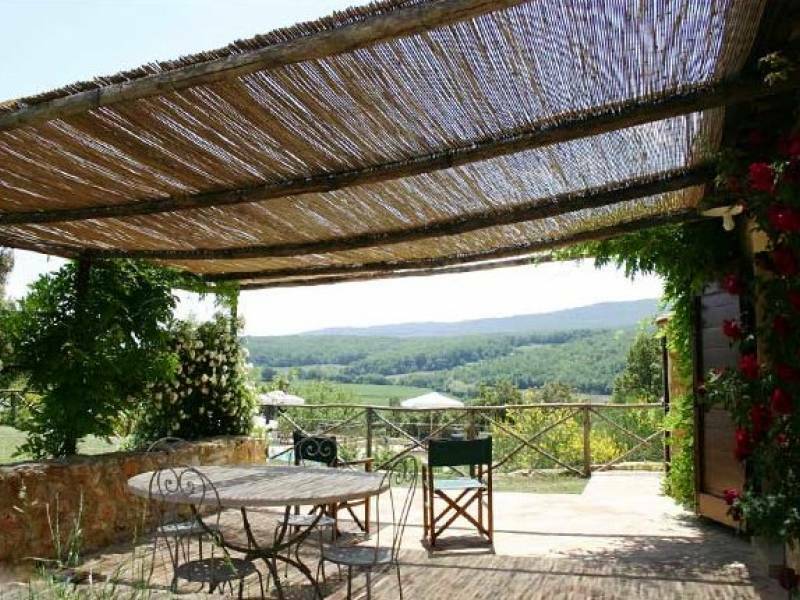 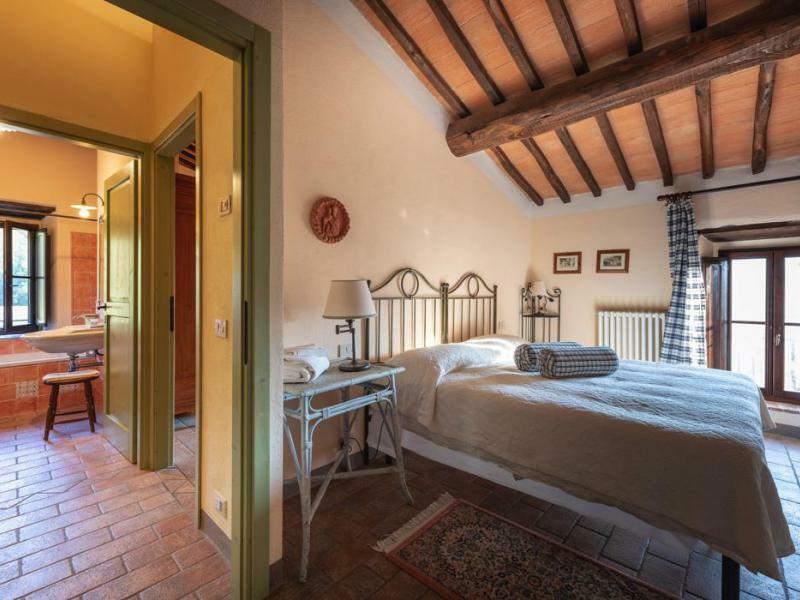 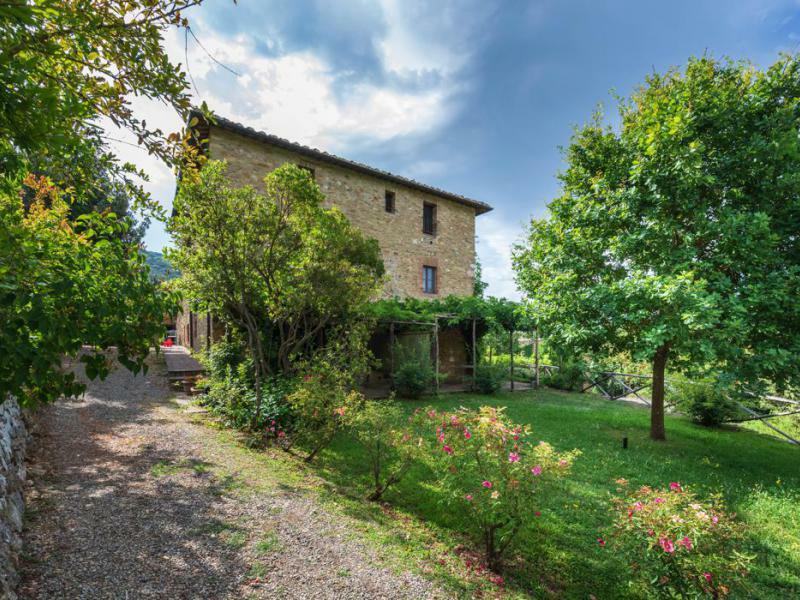 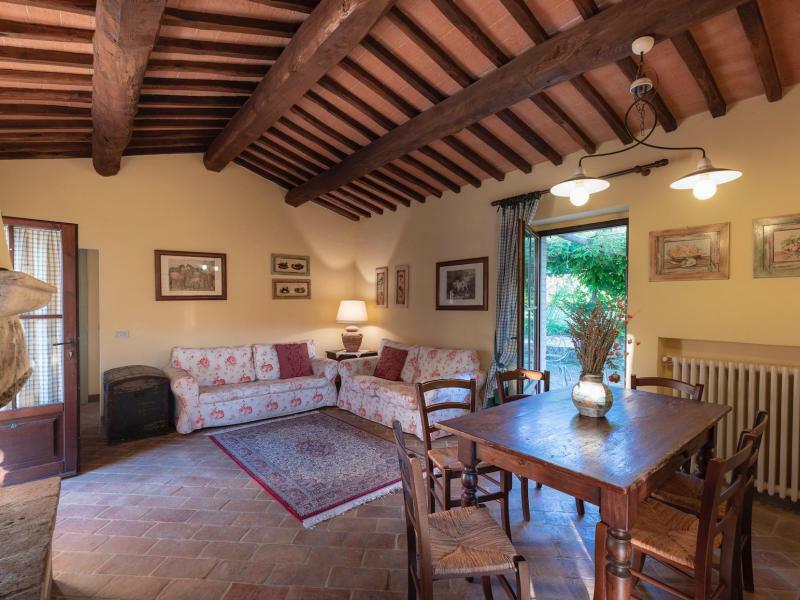 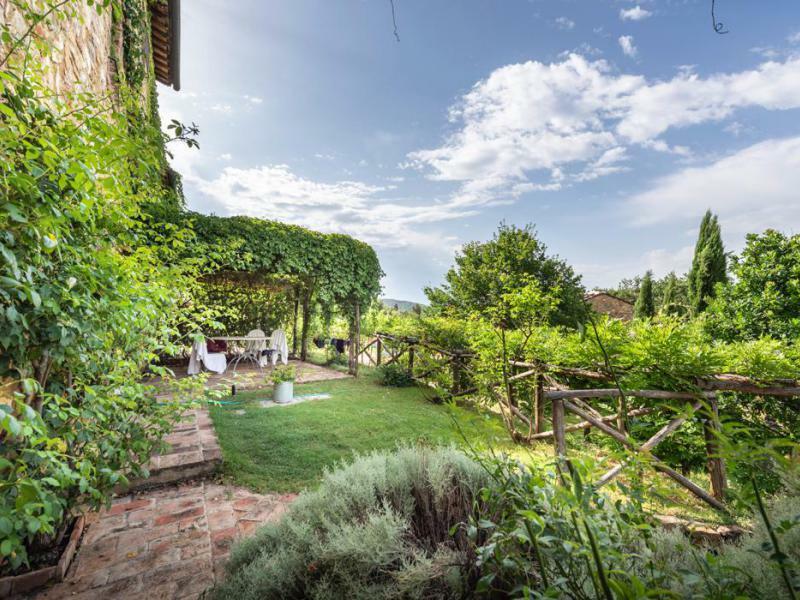 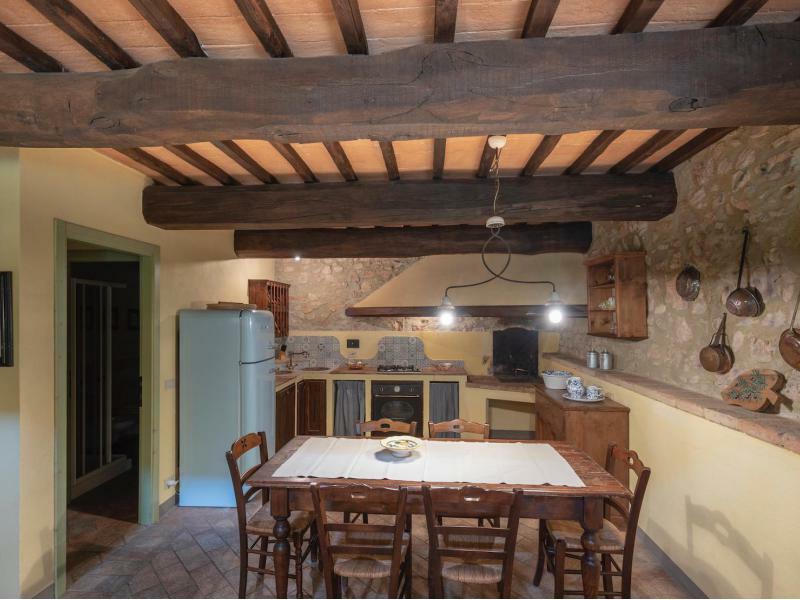 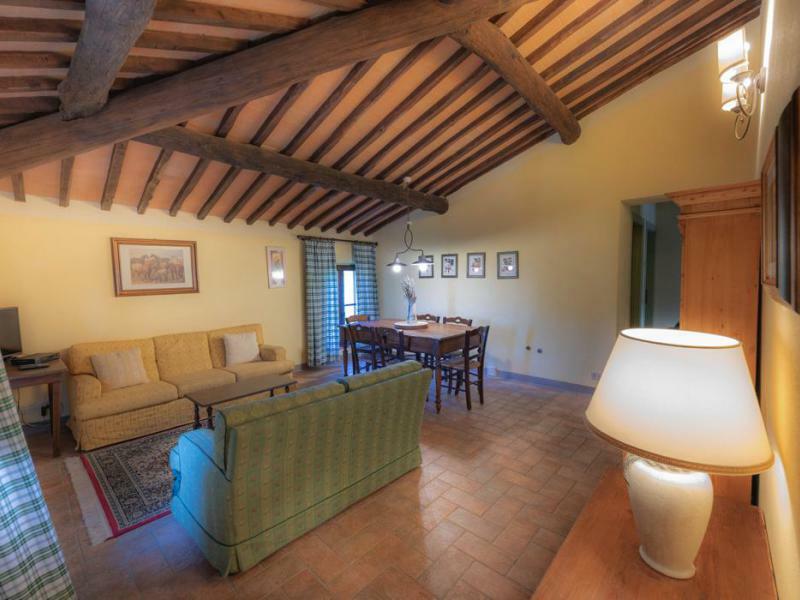 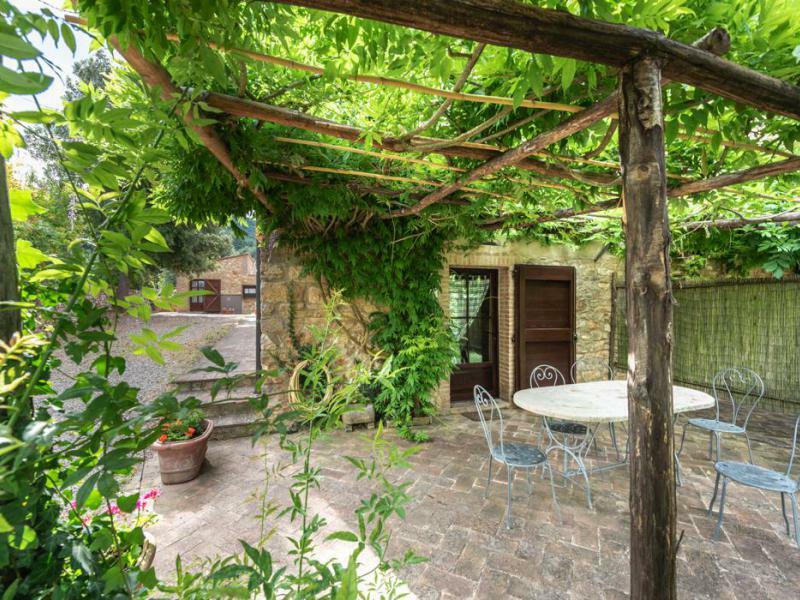 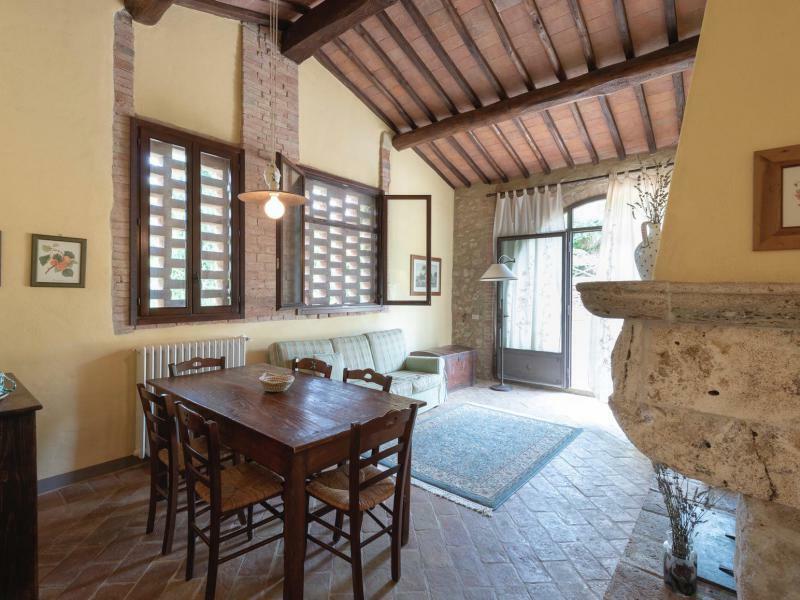 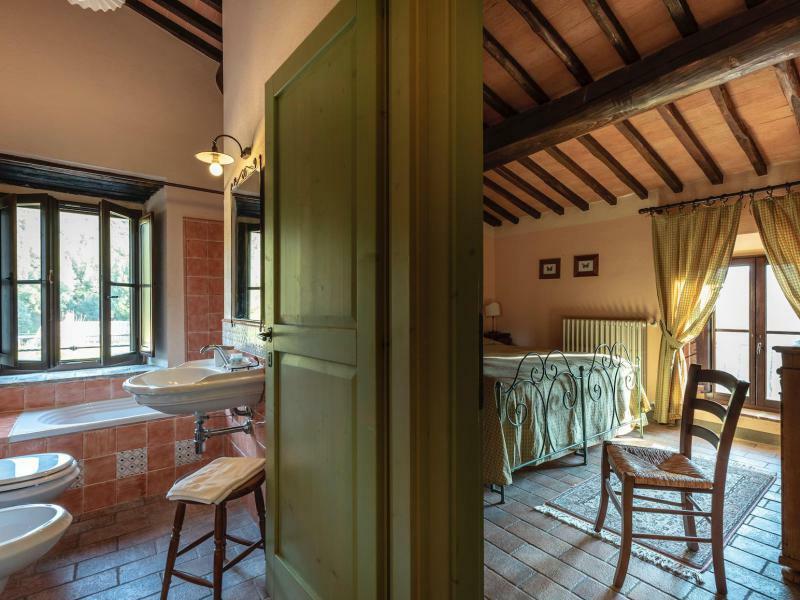 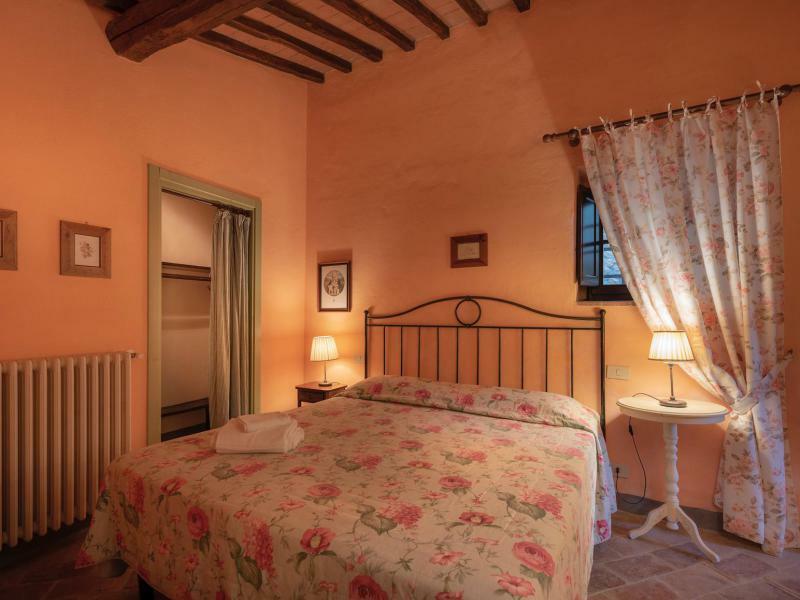 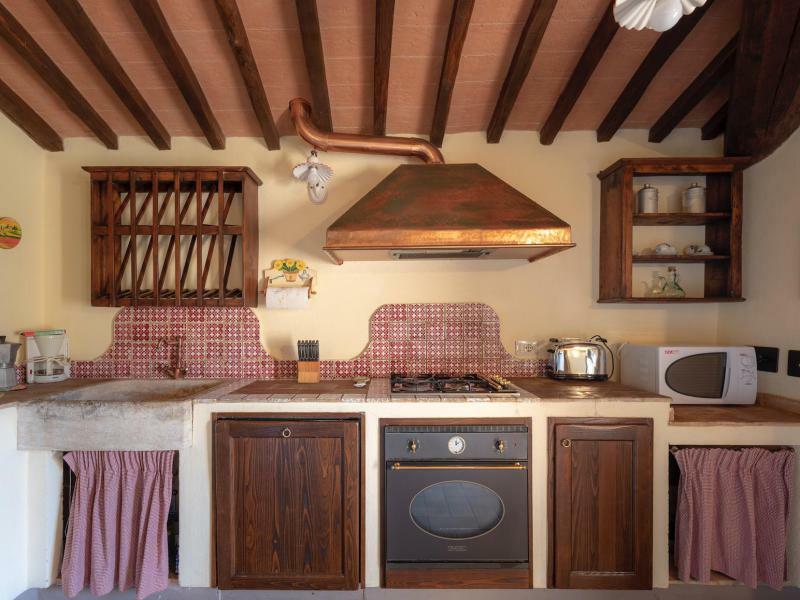 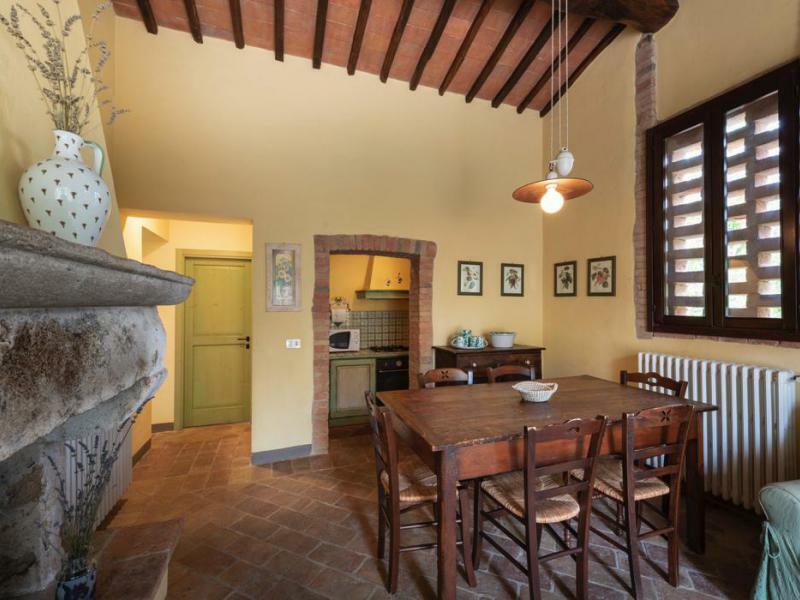 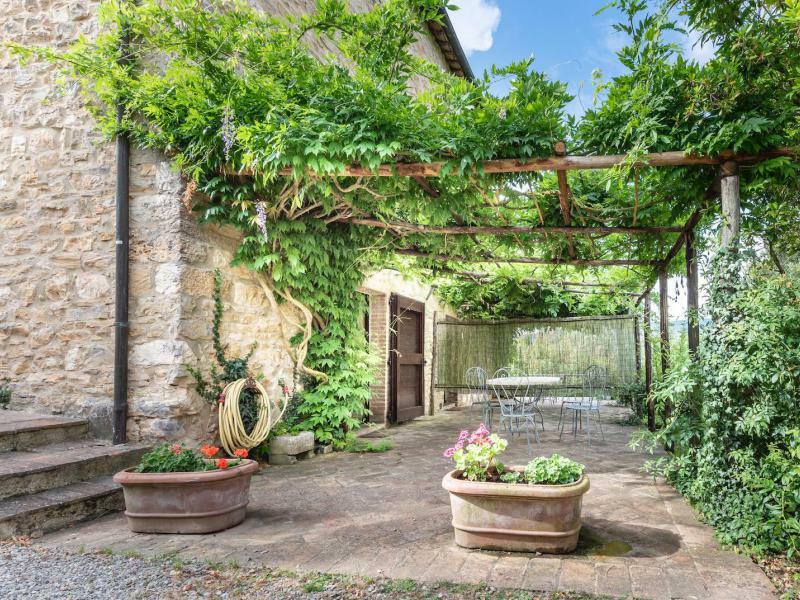 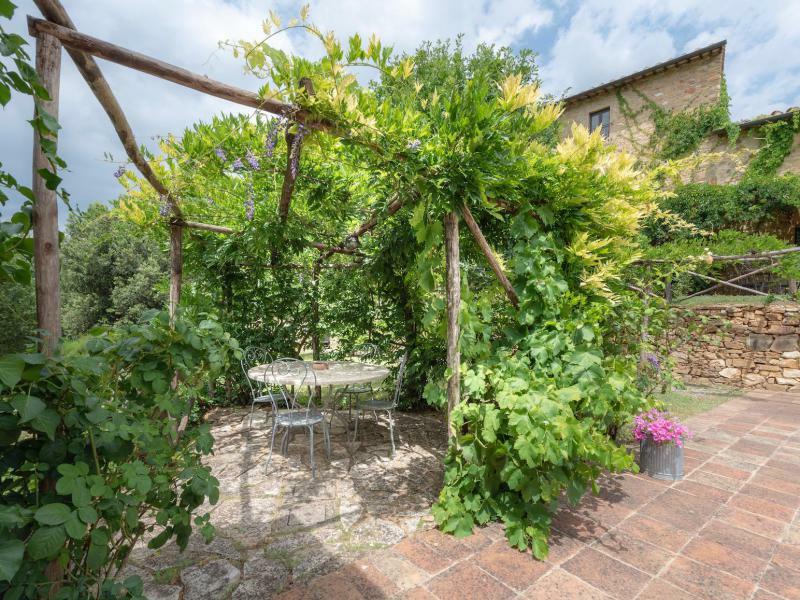 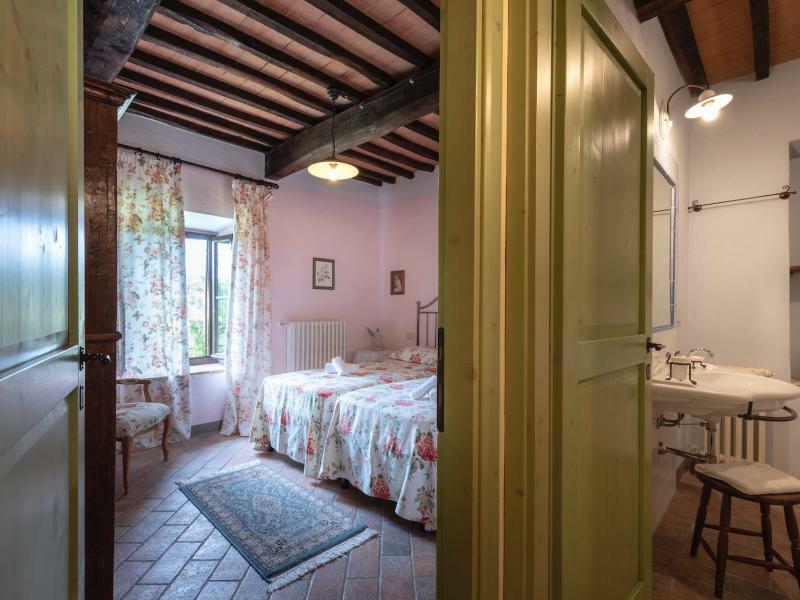 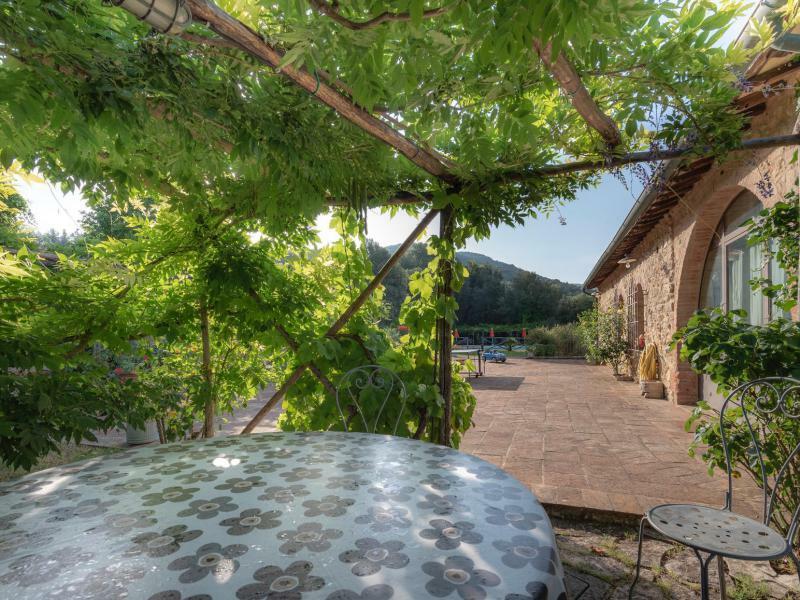 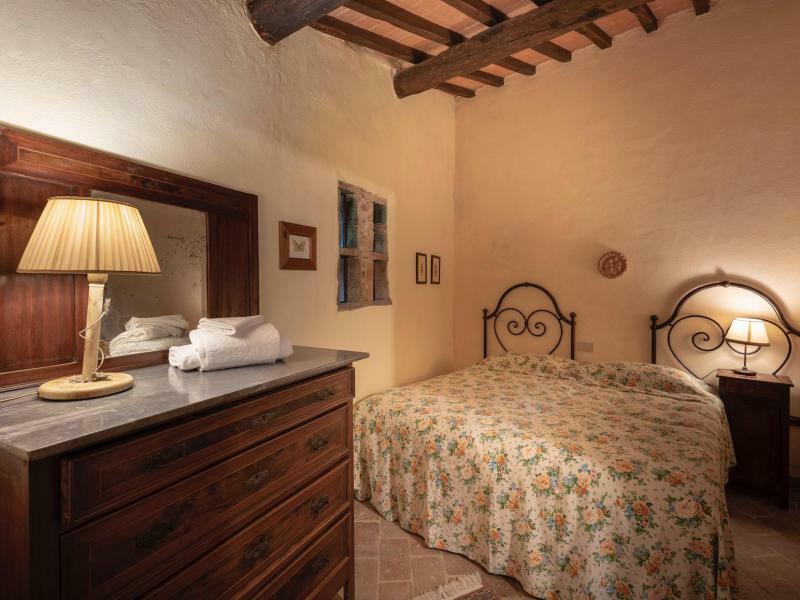 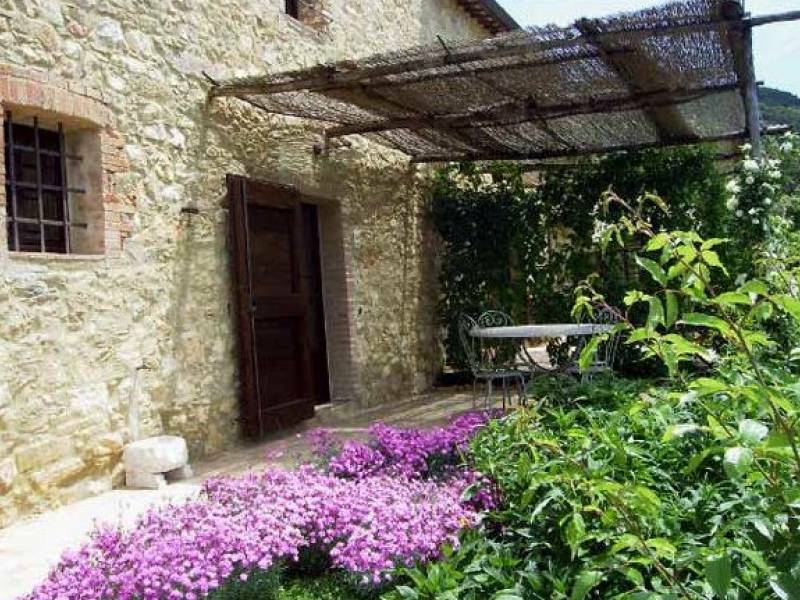 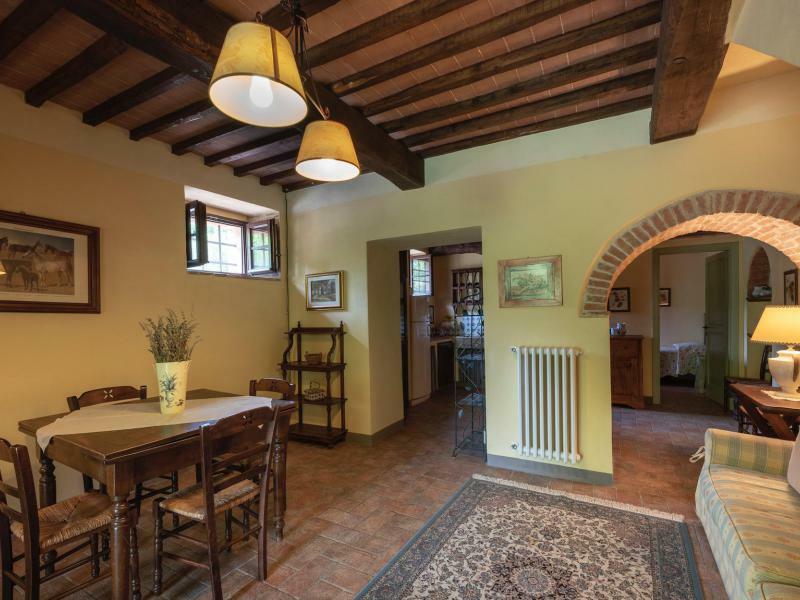 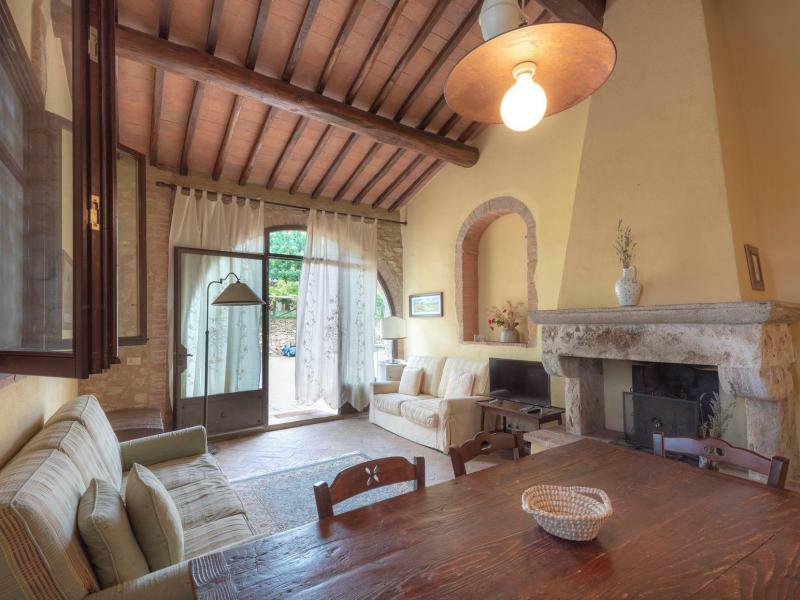 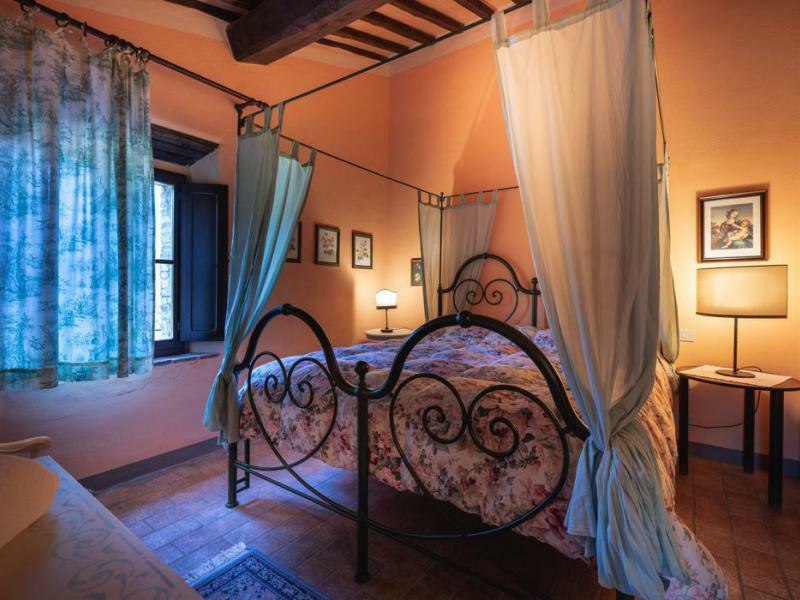 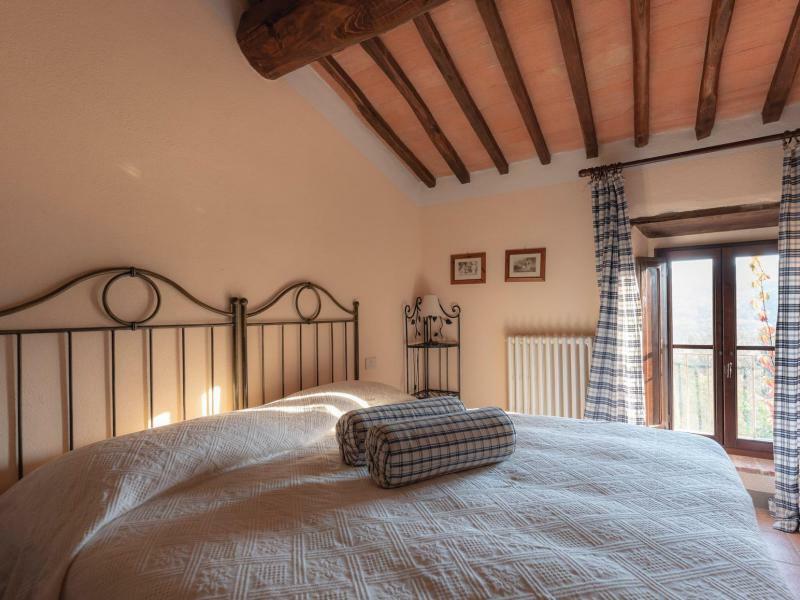 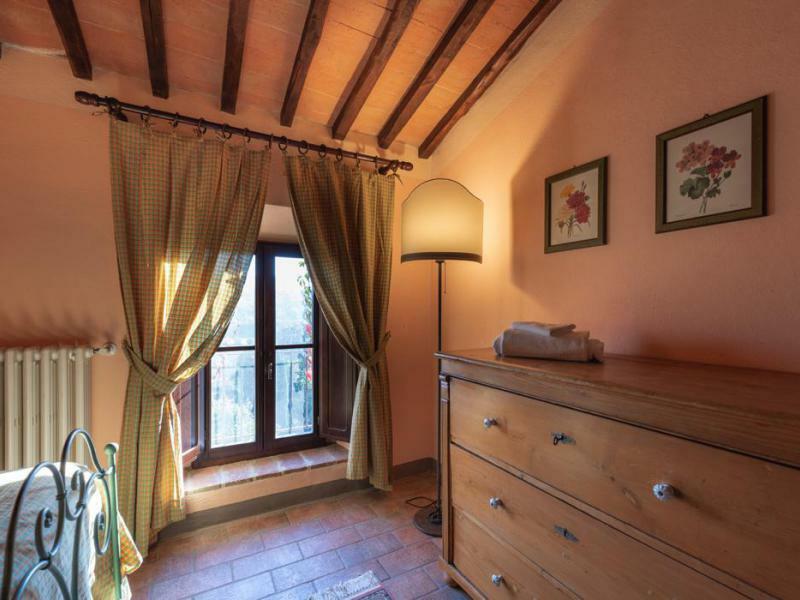 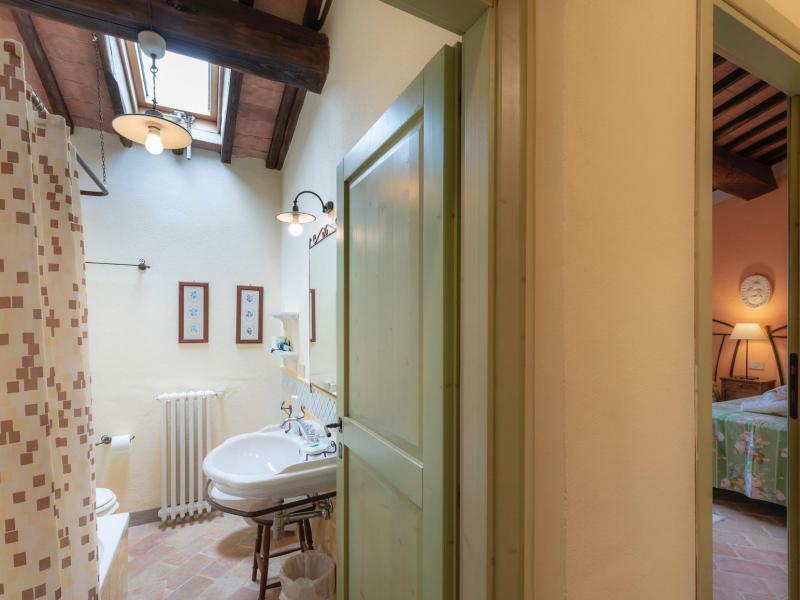 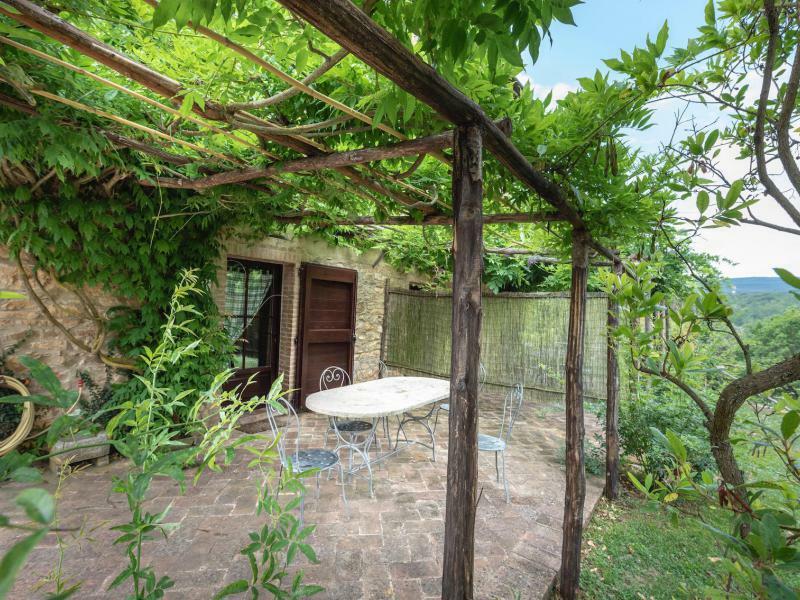 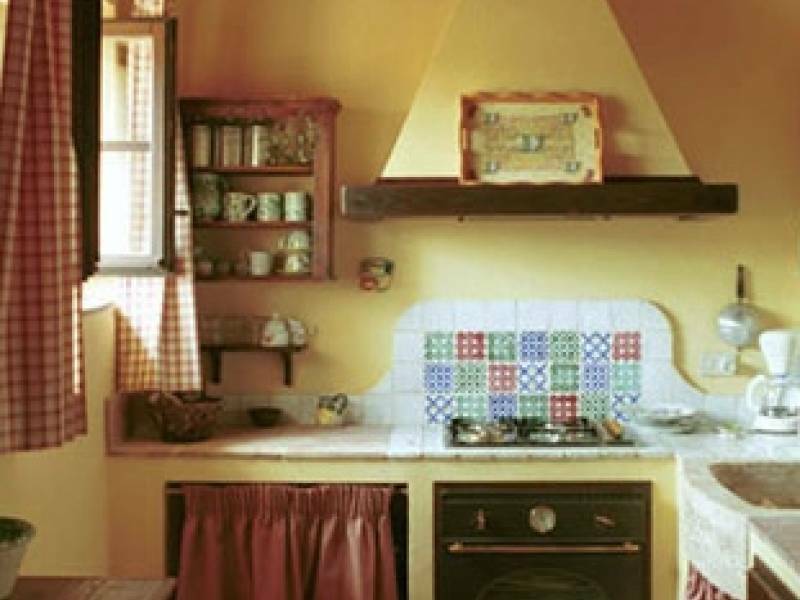 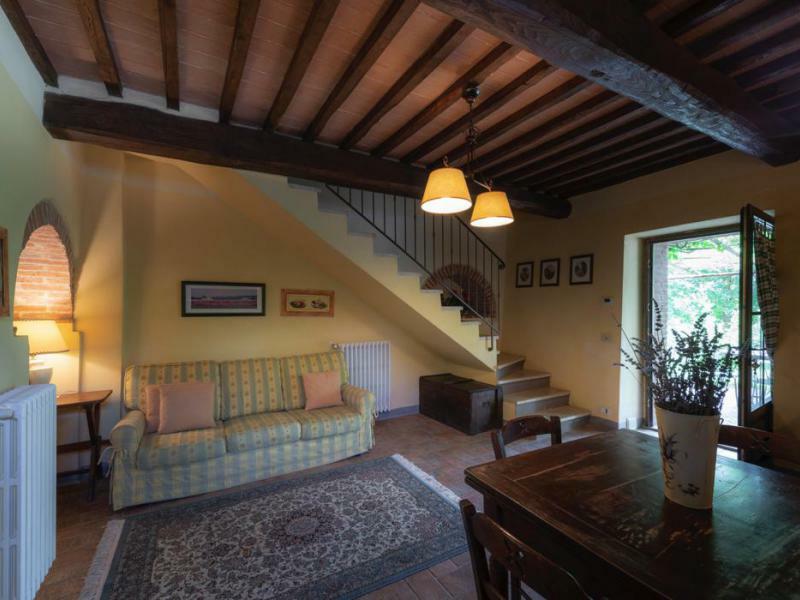 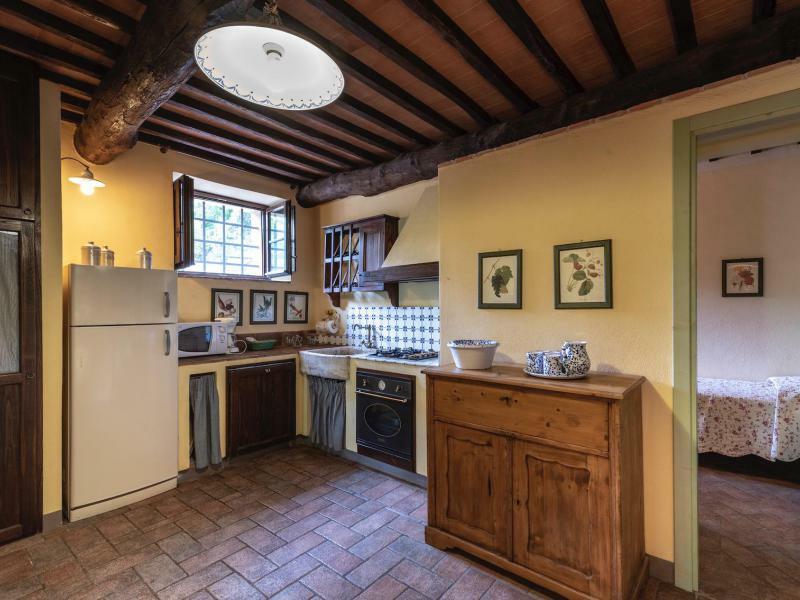 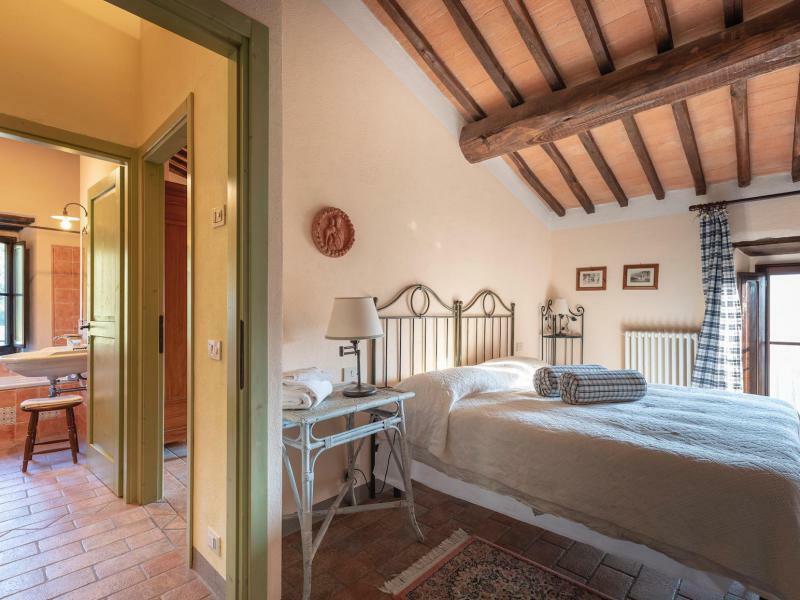 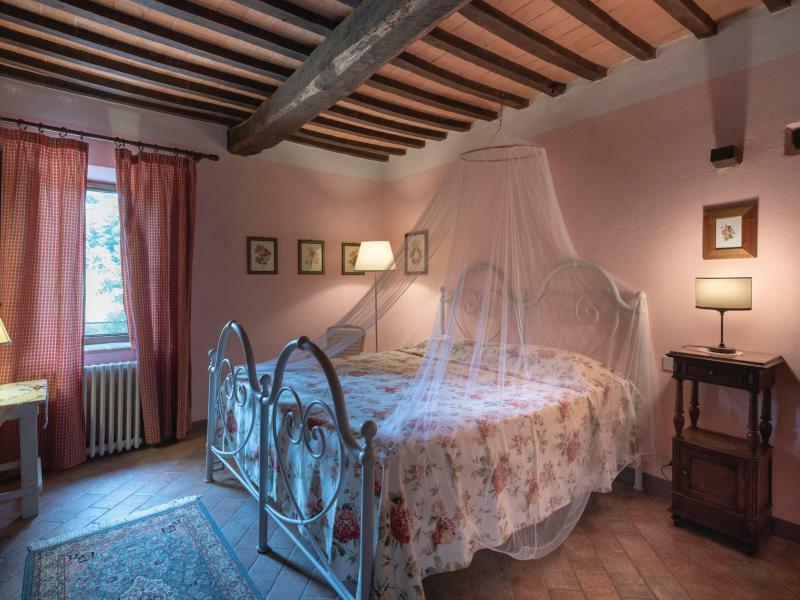 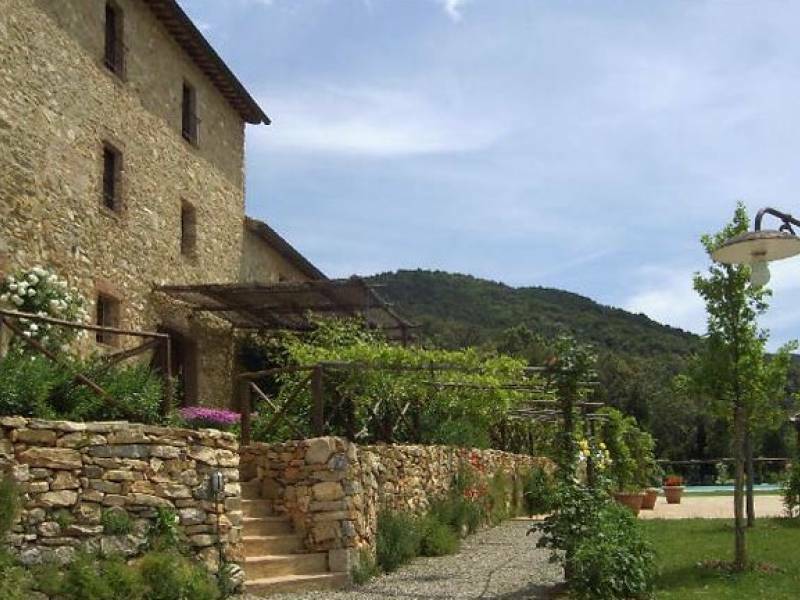 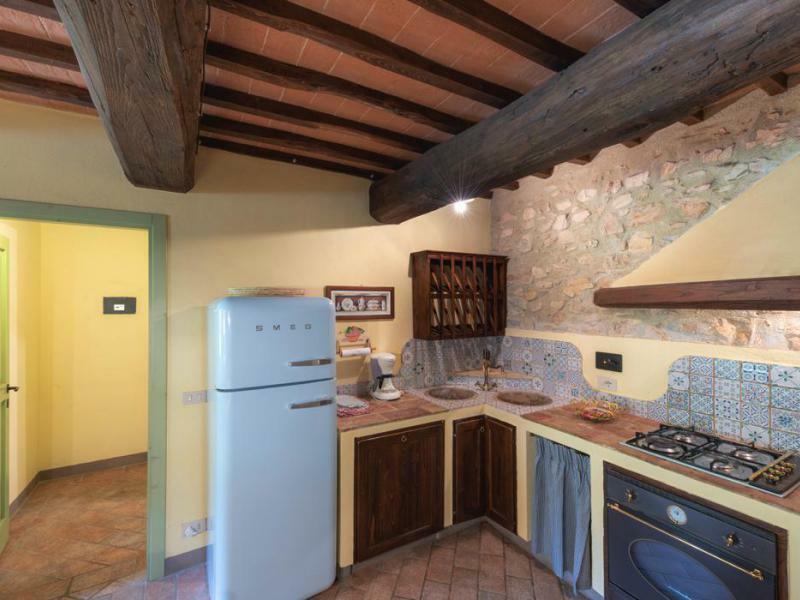 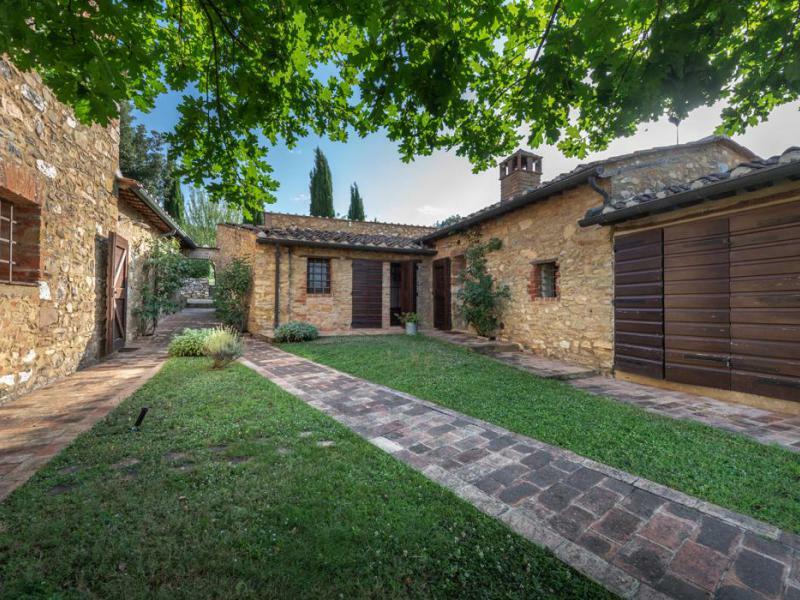 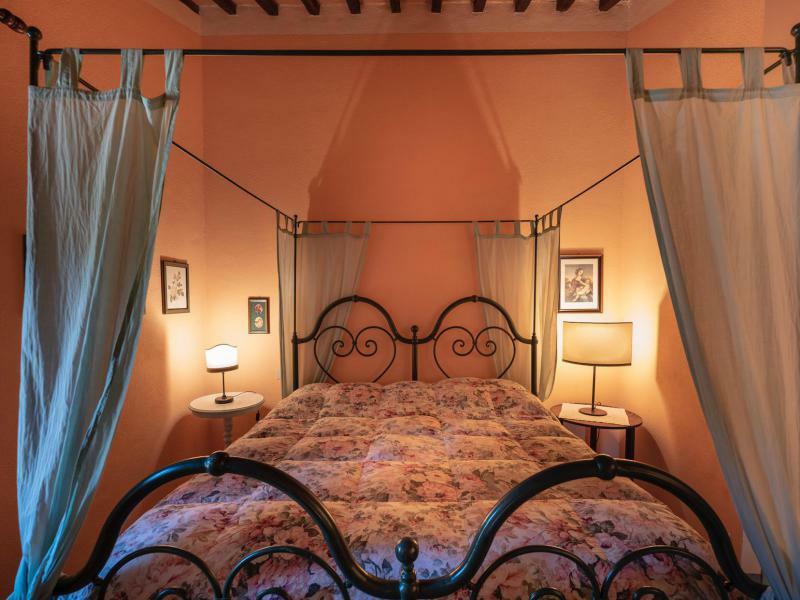 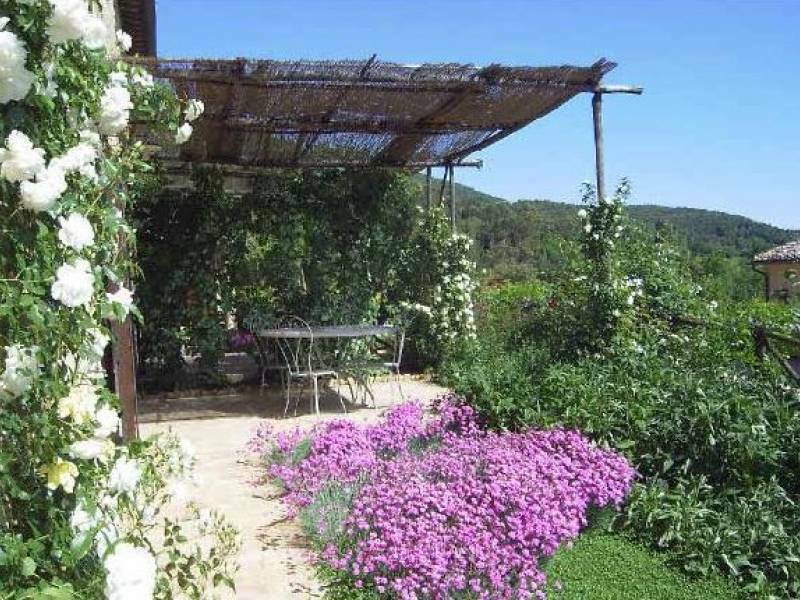 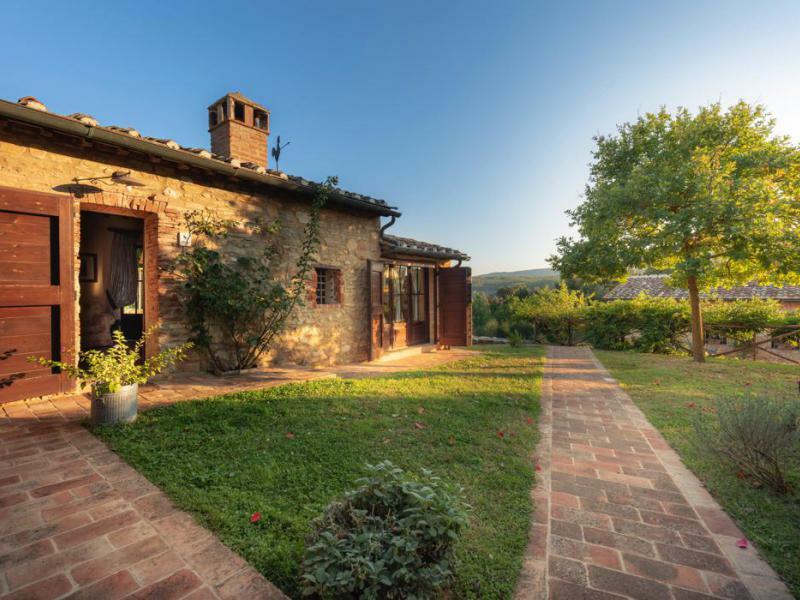 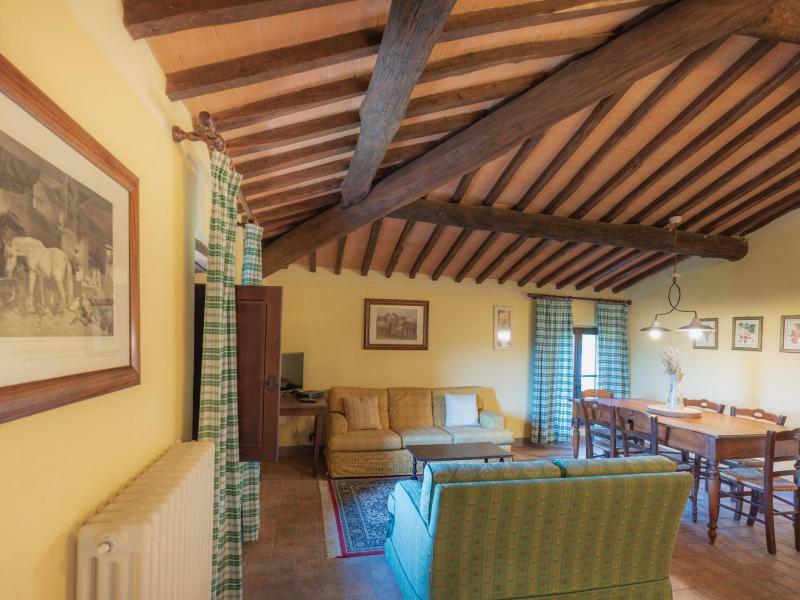 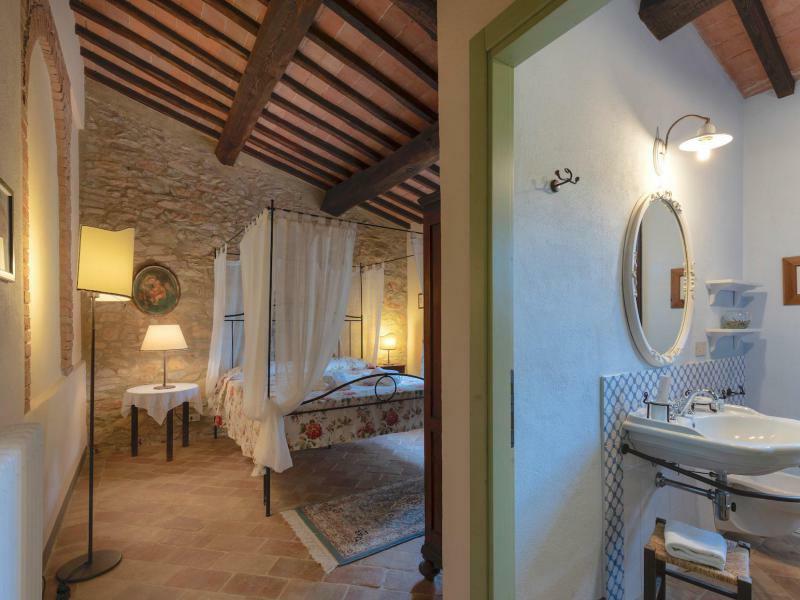 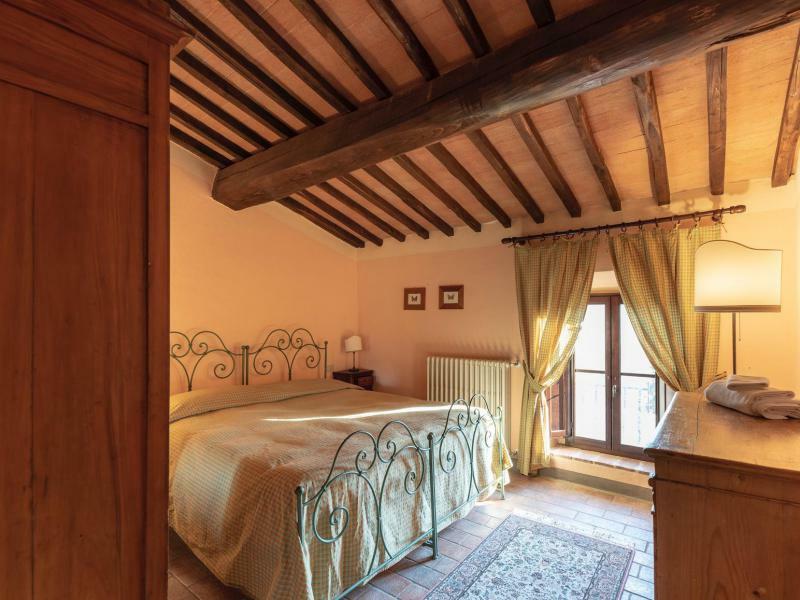 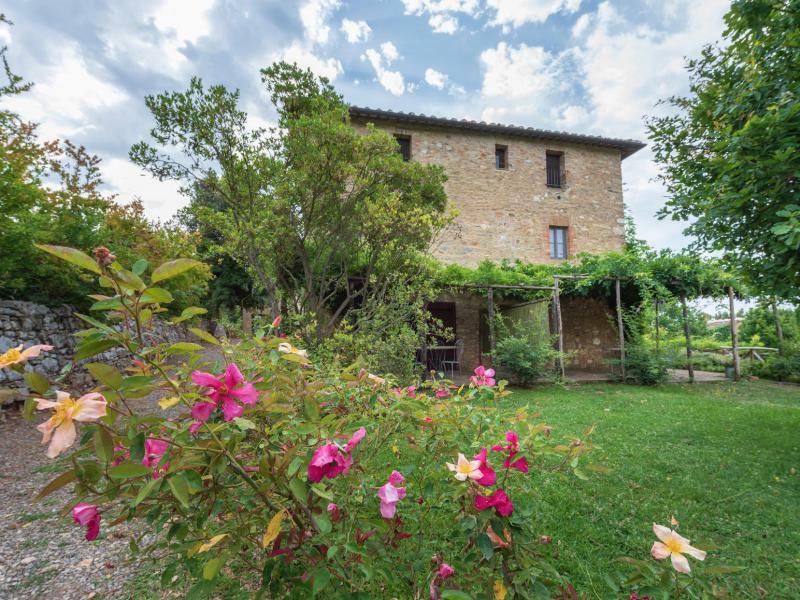 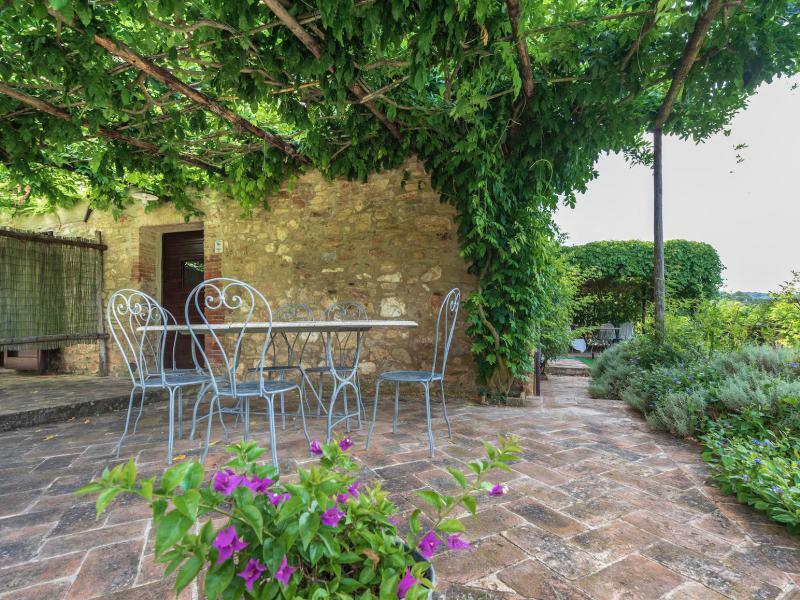 This agriturismo is a beautifully restored hamlet centrally located in Tuscany, about 12 km south of Casole d'Elsa. 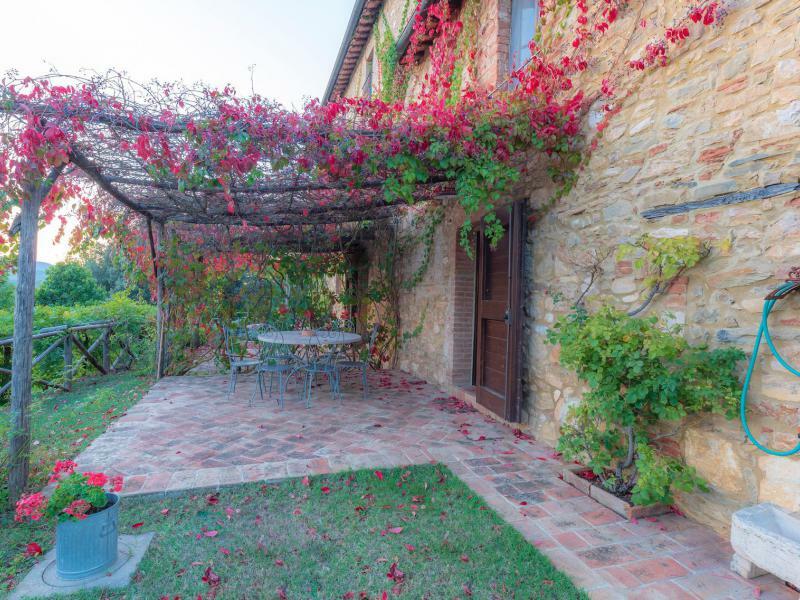 The property is spacious, well maintained and in perfect order under the watchful eye of owner Graziella. 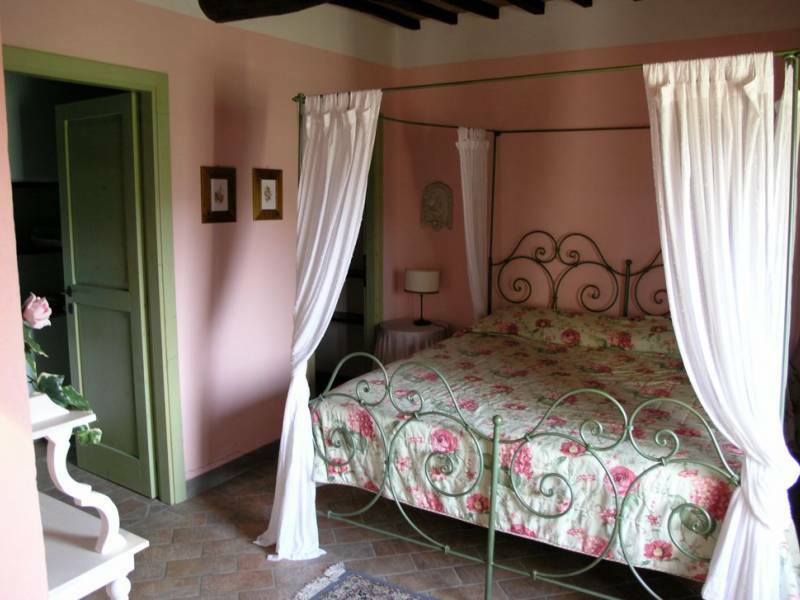 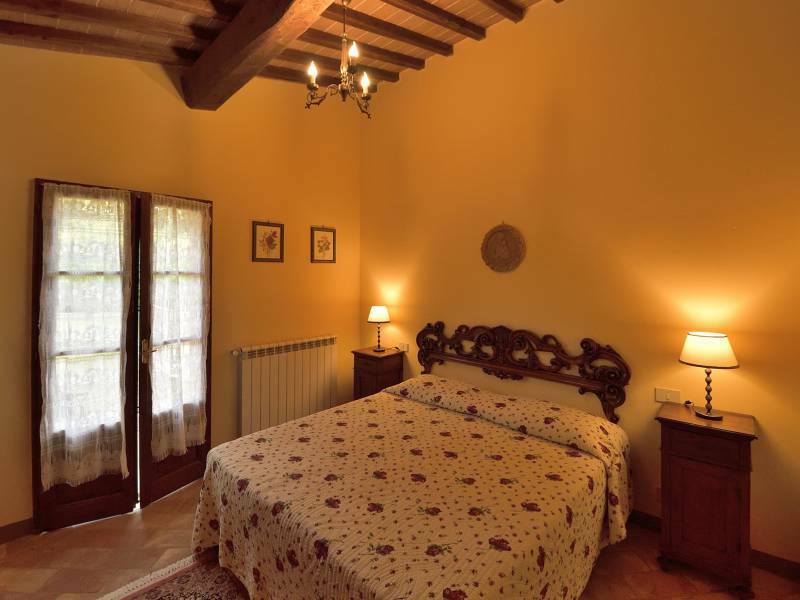 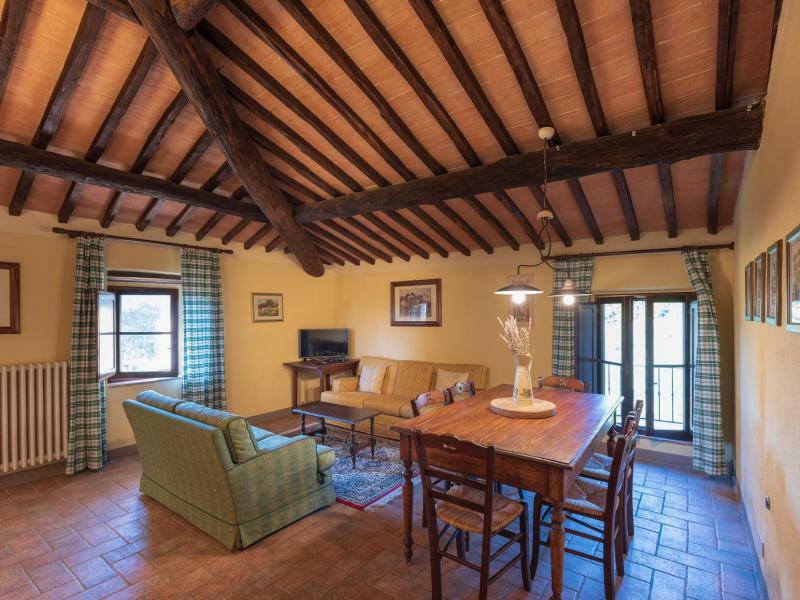 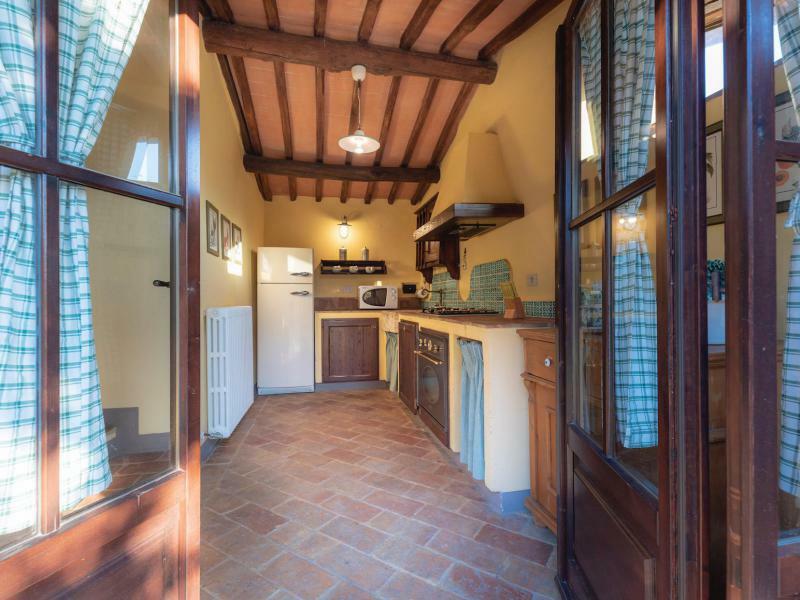 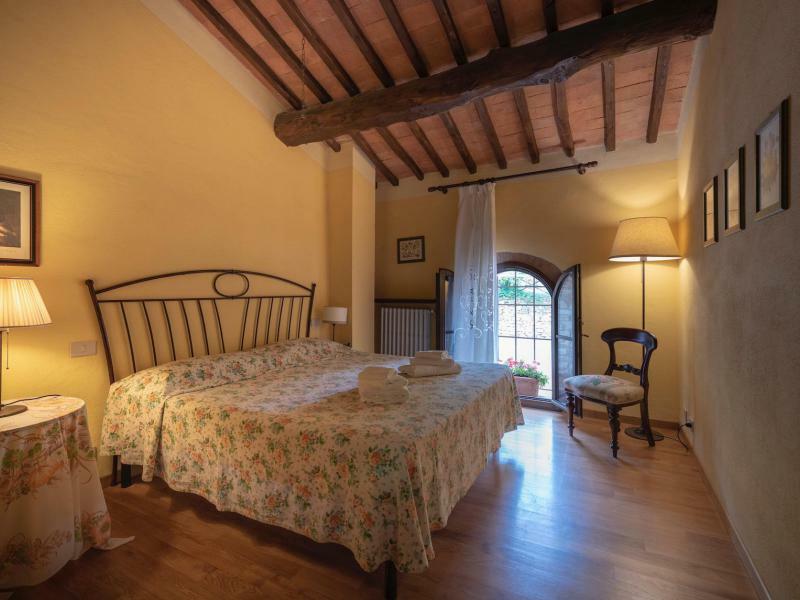 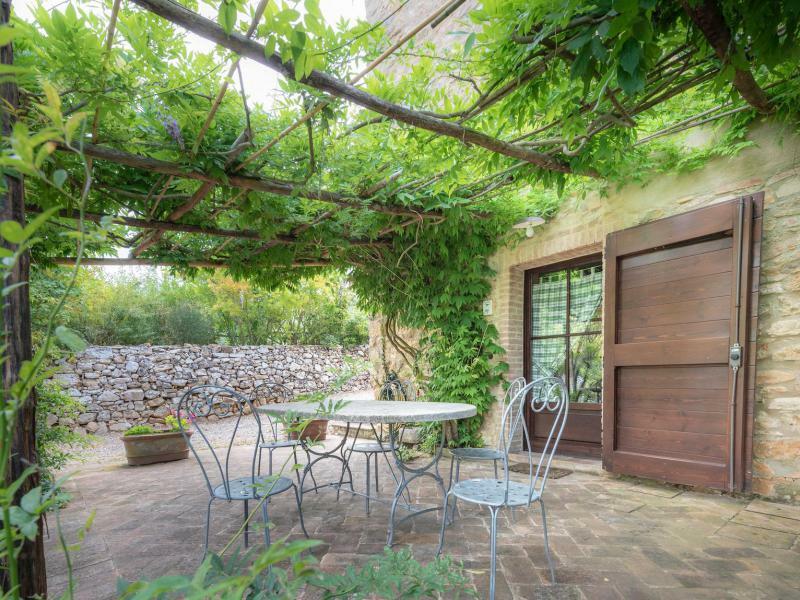 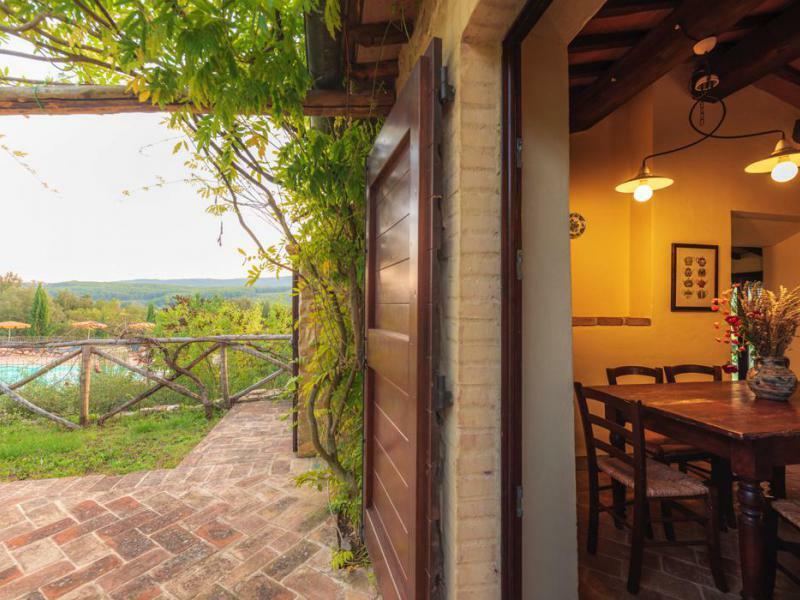 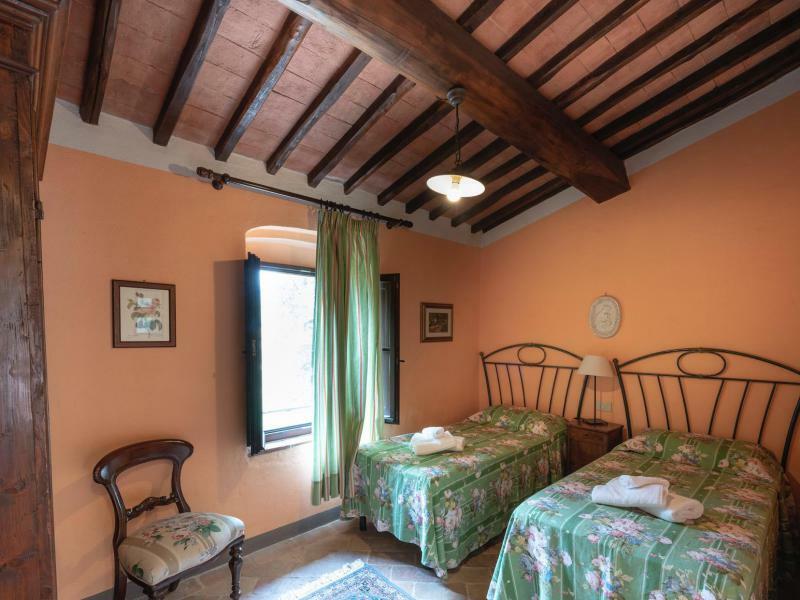 The agriturismo has a total of eight apartments, all with a private terrace with pergola. 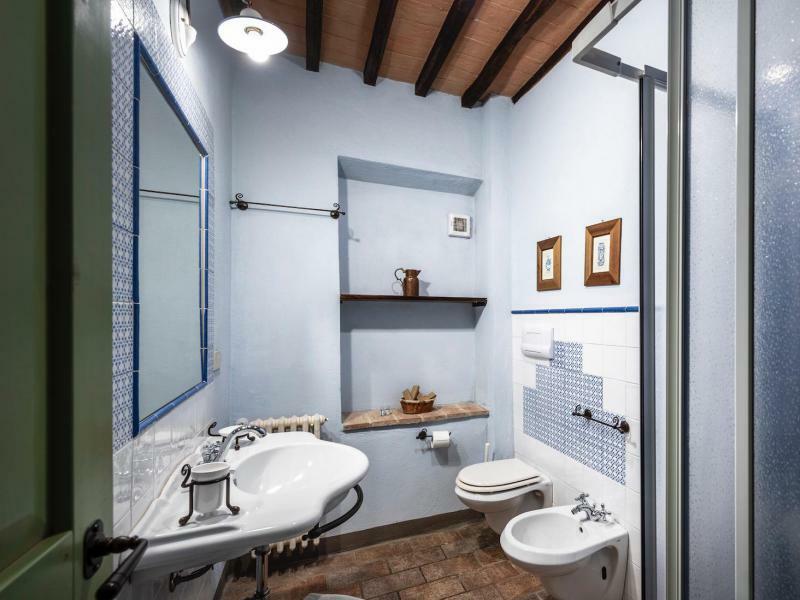 The apartments are very comfortable and attractively furnished and feature a dishwasher, oven, microwave, juicer, satellite TV and good mattresses on the beds. 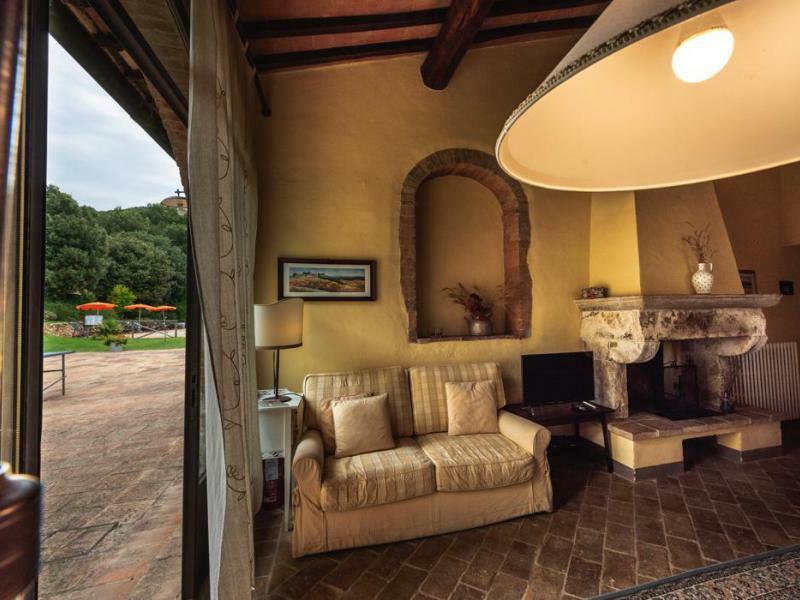 At the large swimming pool (16 x 8 meters) each apartment has its own set of beach chairs and umbrella or pergola. 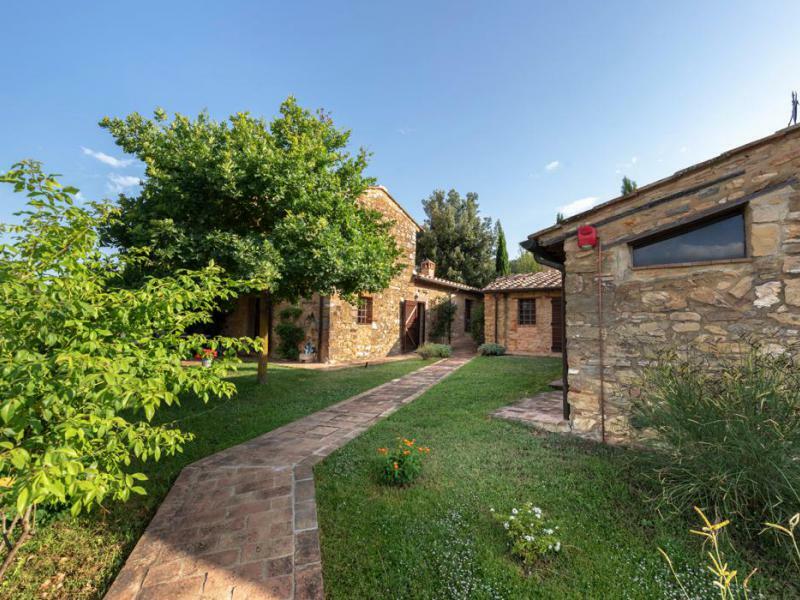 Pievescola (4 km), Casole d'Elsa (12 km), Monteriggioni (18 km), Siena (23 km), San Gimignano (32 km), Volterra (39 km), Florence (70 km), Pisa (98 km ), beach (80 km). 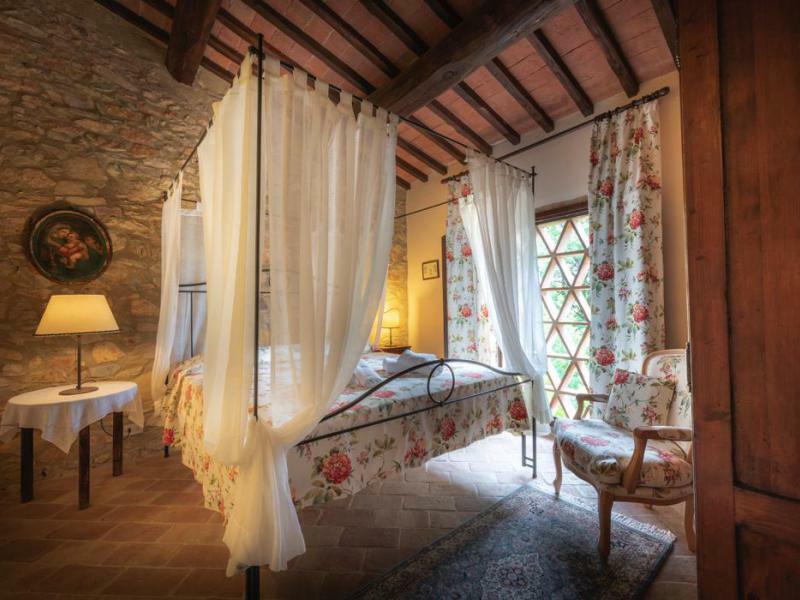 This is a quiet and comfortable agriturismo. 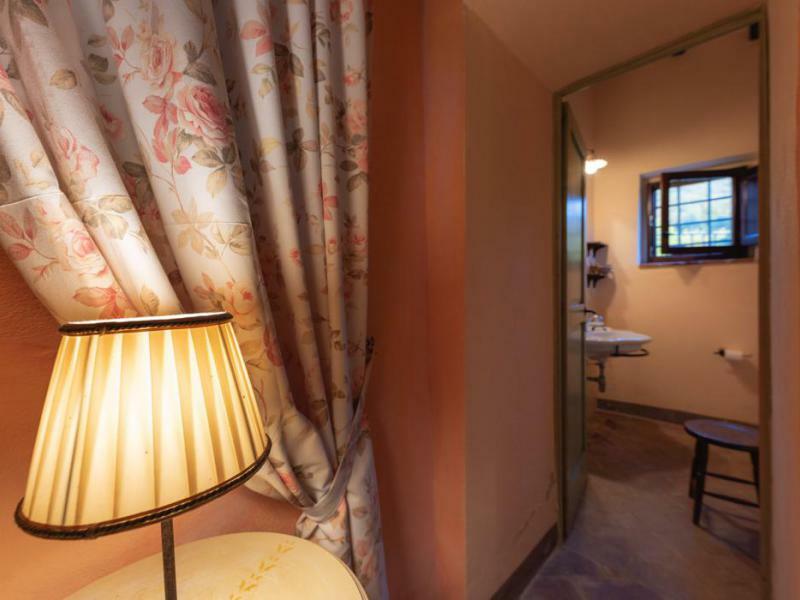 For lovers of nature and comfort. 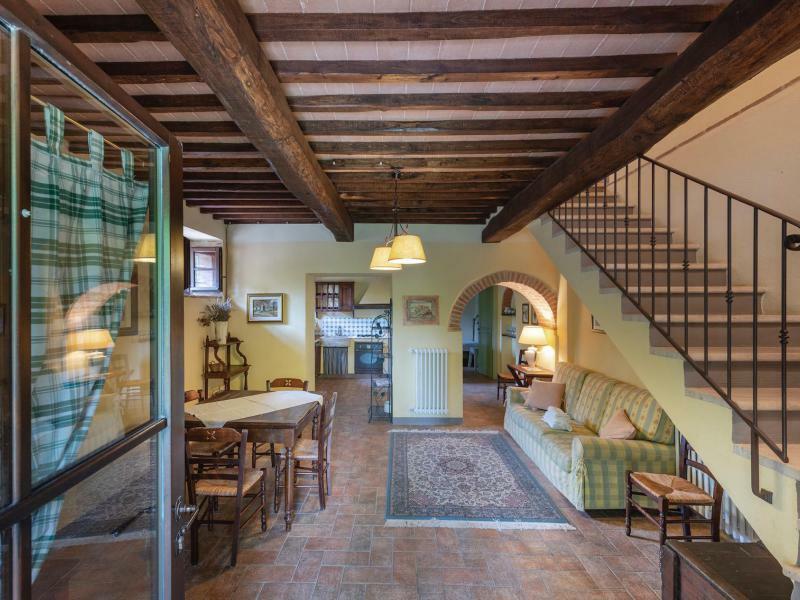 Apartment A is on two floors. 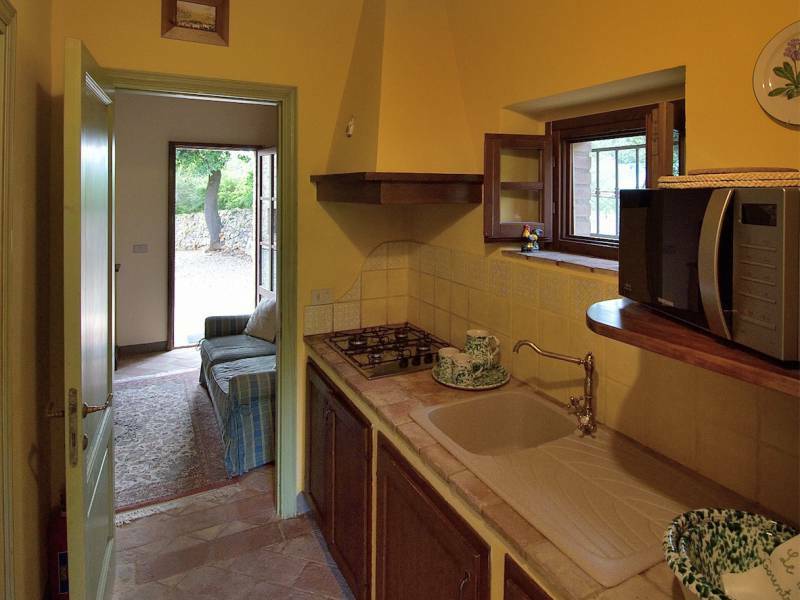 On the ground floor are the living room with double sofa bed and kitchen with dishwasher. 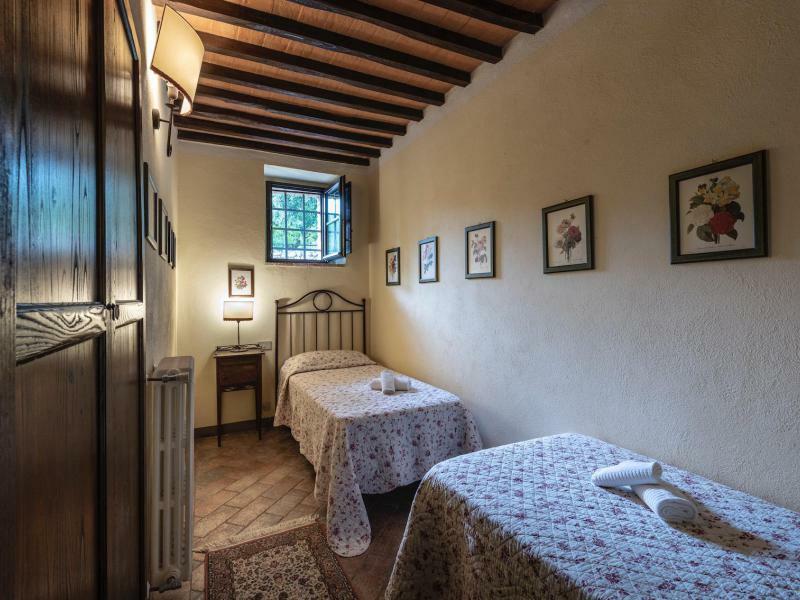 On the first floor are two bedrooms and two bathrooms (both with shower). 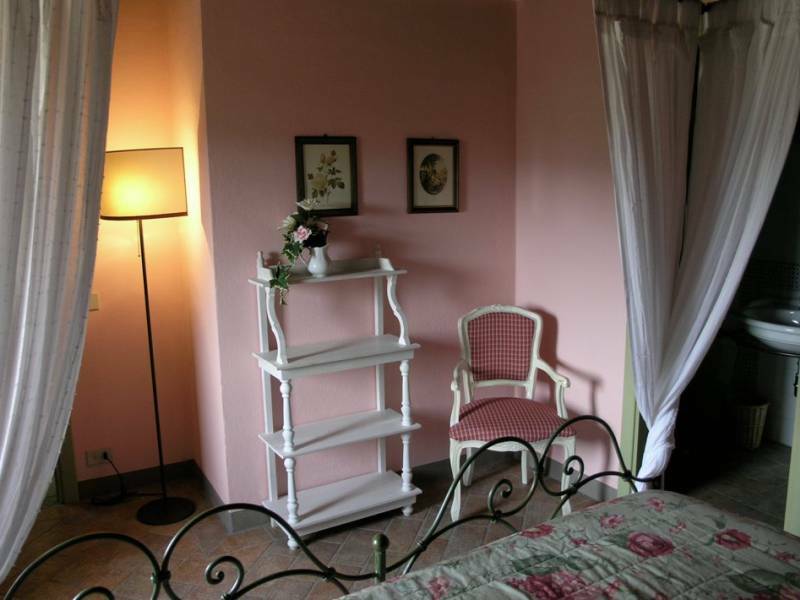 All apartments have a private terrace with table, chairs and pergola. 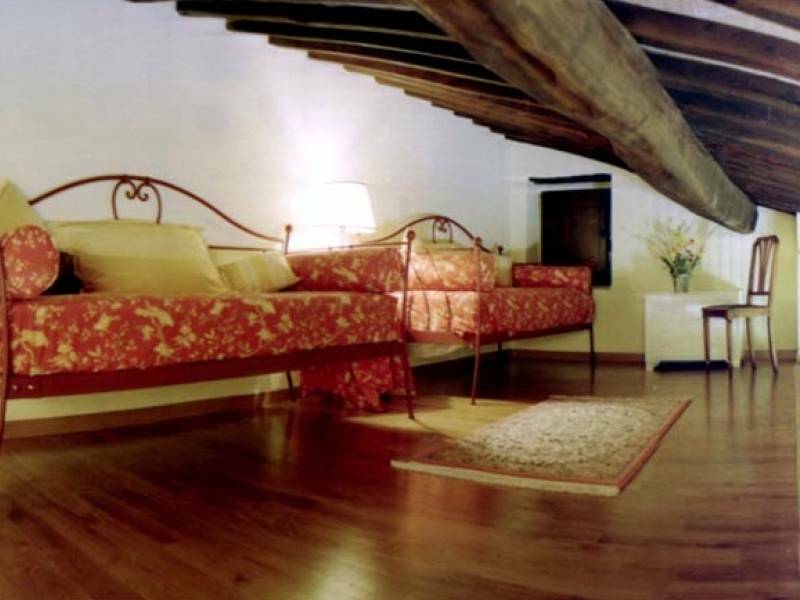 Apartment B is situated on two floors. 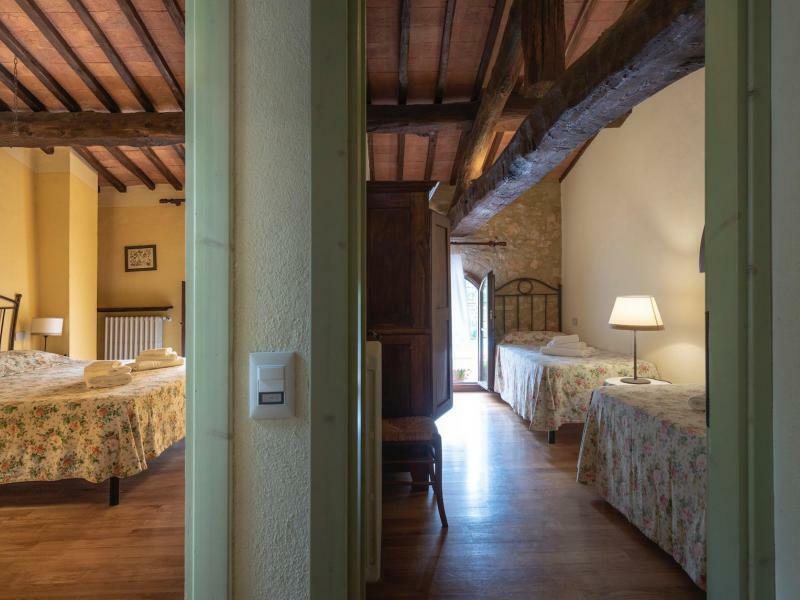 On the ground floor are the living room with double sofa bed, kitchen with dishwasher and a bedroom with two single beds. 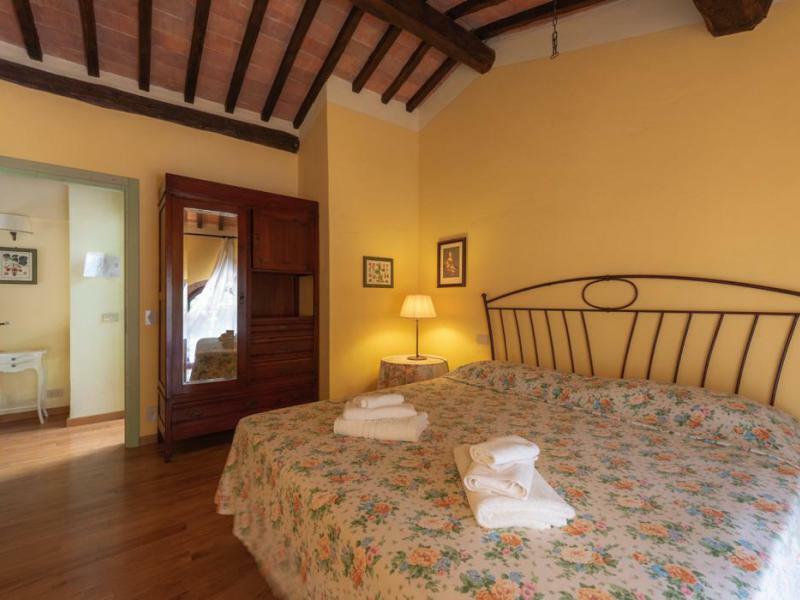 On the first floor are two bedrooms and two bathrooms (one with shower and one with bath). 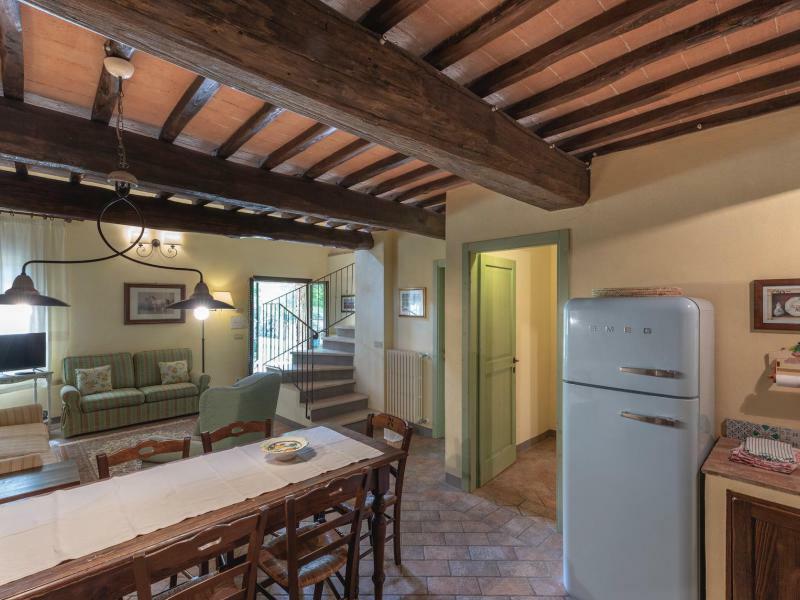 Apartment C is on two floors. 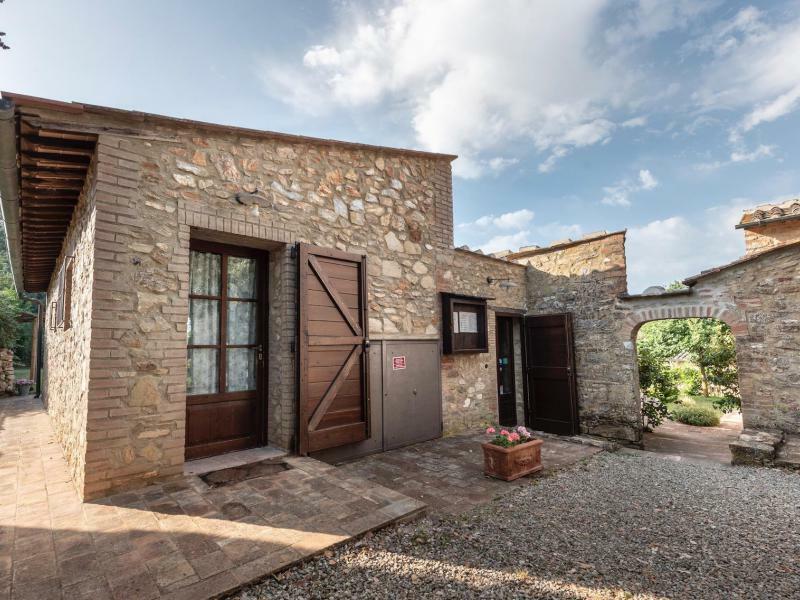 On the ground floor are the living room, kitchen with dishwasher, one bedroom with two single beds and a bathroom with shower. 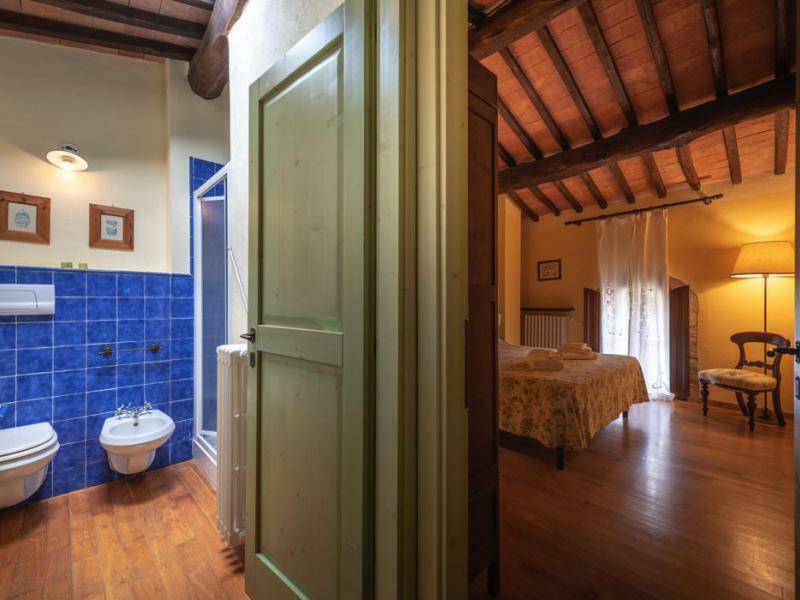 On the first floor there is a double bedroom, an open loft with twin beds and a bathroom (with bath). 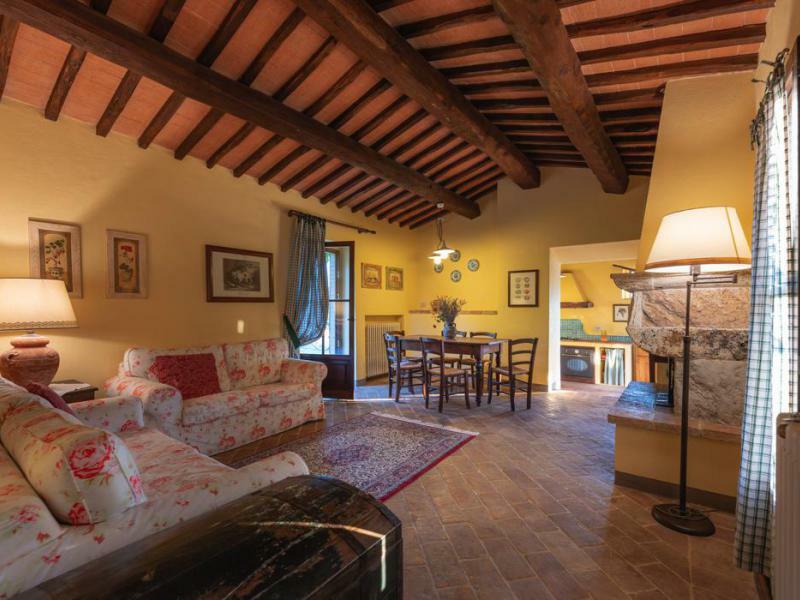 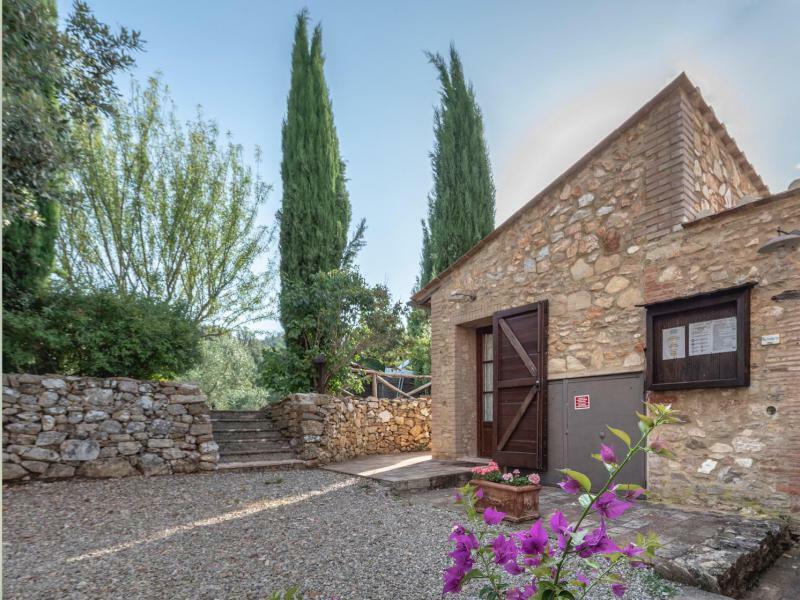 Apartment D is built in the old fienile (barn) and lies entirely on the ground floor. 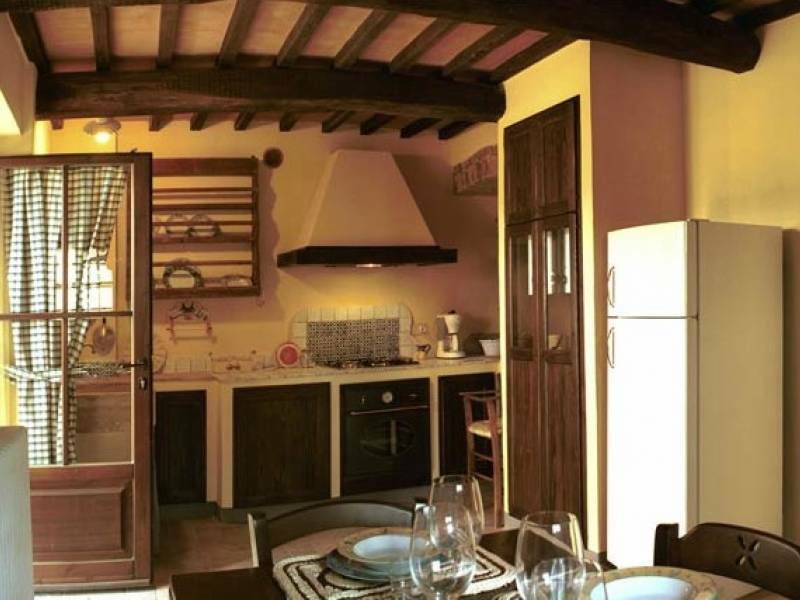 The apartment consists of a living room with double sofa bed, kitchen with dishwasher, two bedrooms and two bathrooms (both with shower). 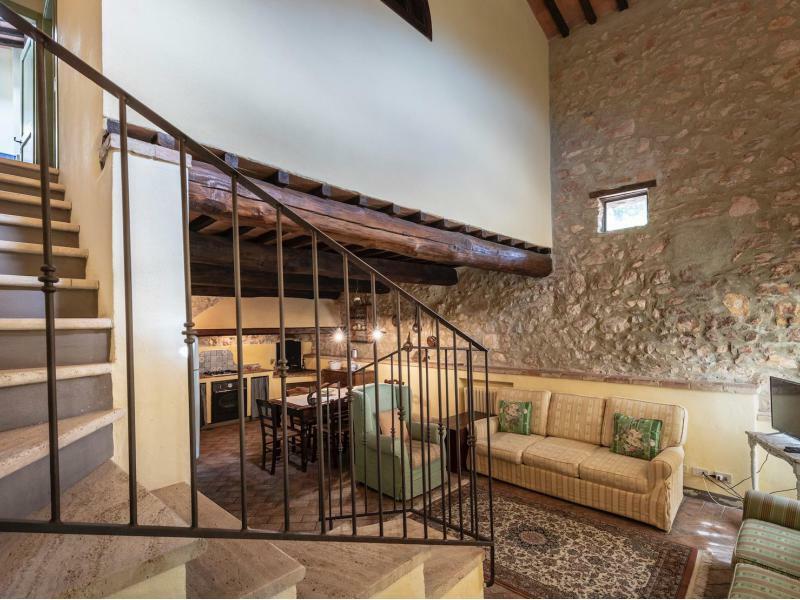 Apartment E is on two floors. 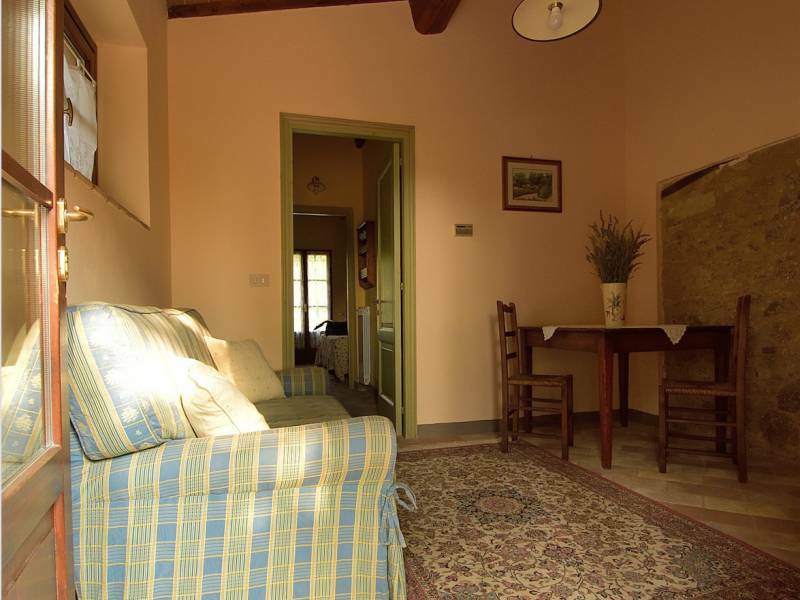 On the ground floor are the living room with double sofa bed, kitchen with dishwasher and a bathroom with shower. 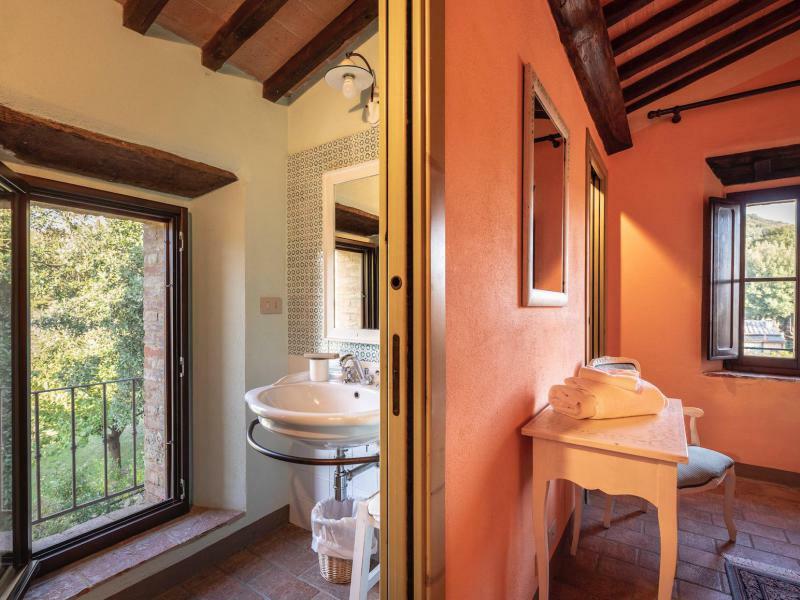 On the first floor are two bedrooms and a bathroom with shower. 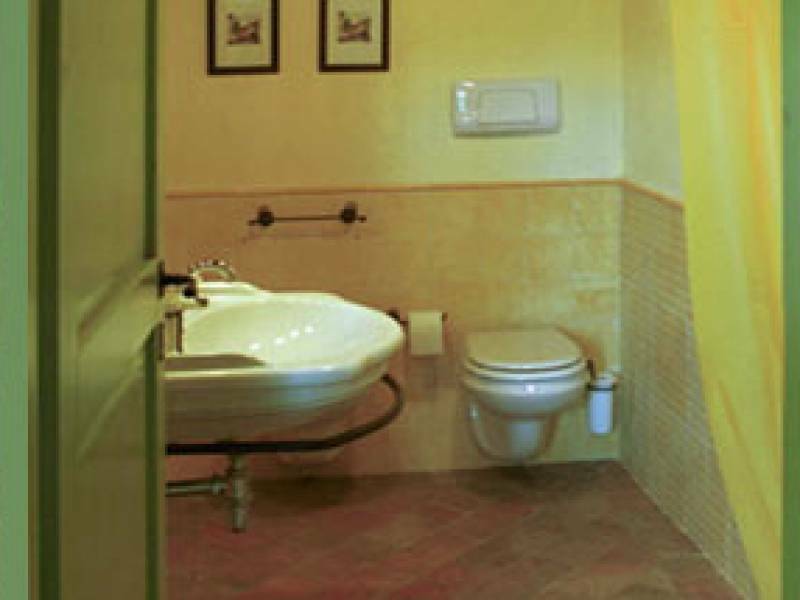 Apartment G is located on the ground floor. 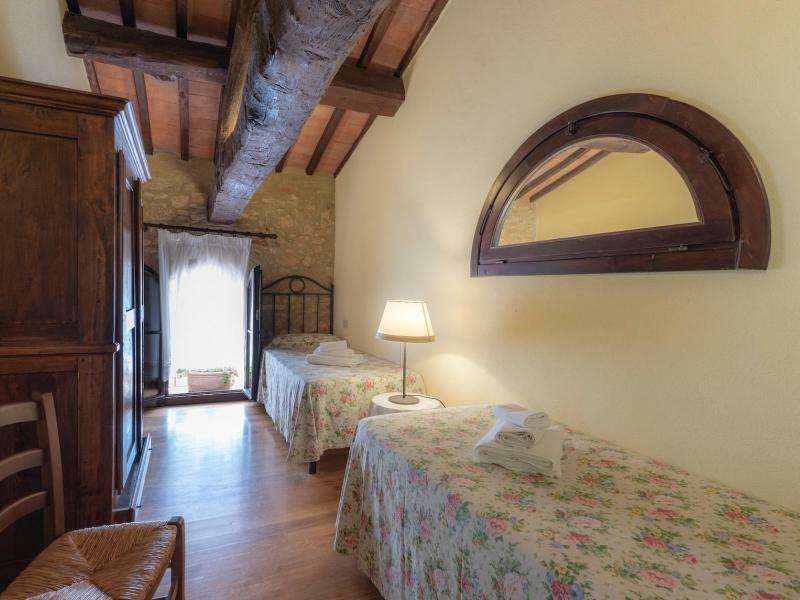 The apartment consists of a living room with double sofa bed a small kitchen with dishwasher, two bedrooms and two bathrooms (one with shower and one with bath). 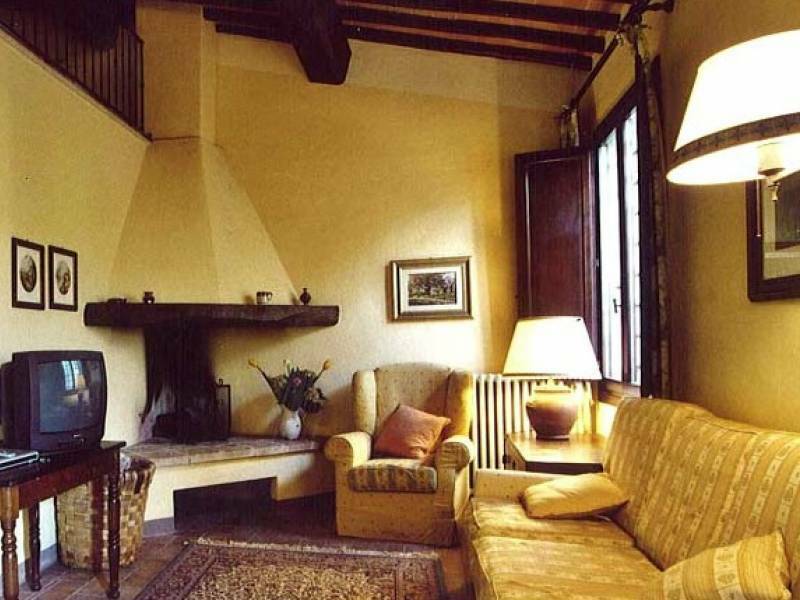 Apartment H is located on the first floor, but has a terrace on the ground floor. 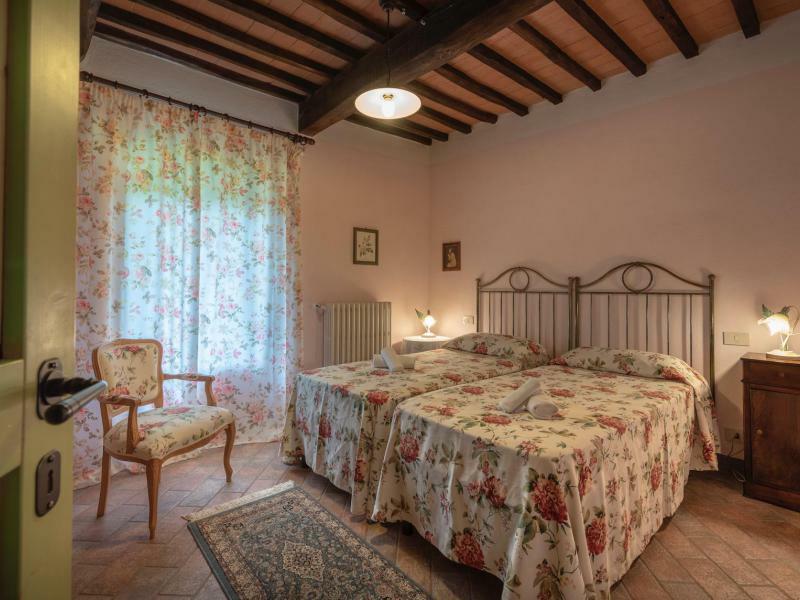 The apartment consists of a living room with double sofa bed, a kitchen with dishwasher, three bedrooms and two bathrooms (one with shower and one with bath). 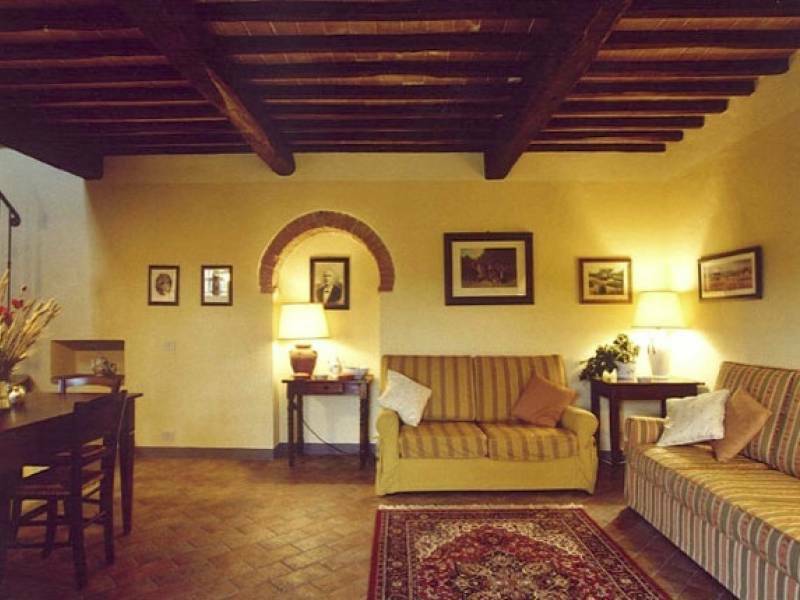 Apartment on the ground floor, next to the reception. 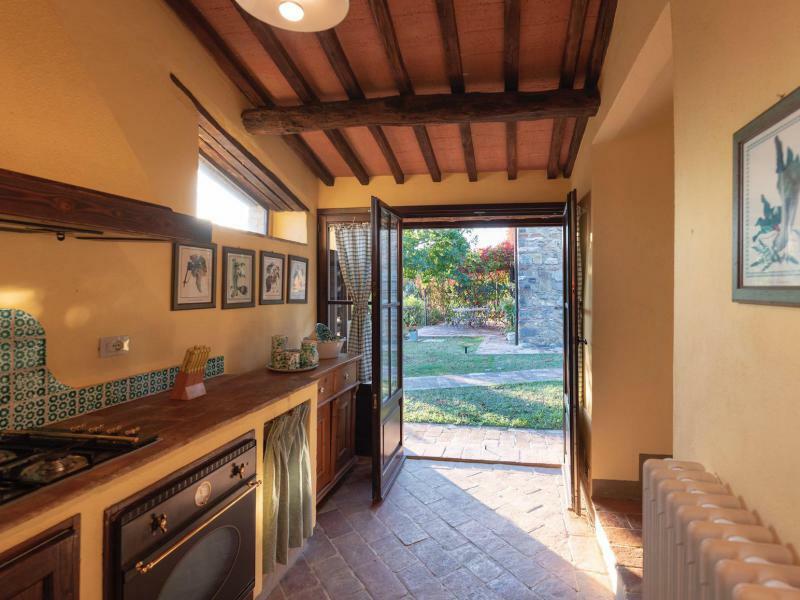 It consist of a living room, a kitchen, a bedroom with double bed and a bathroom with shower. 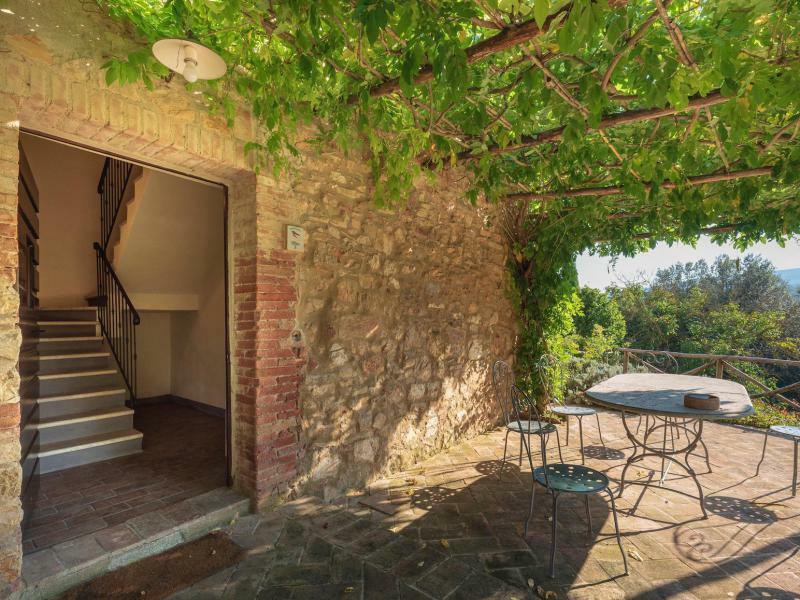 The apartment has a little terrace. 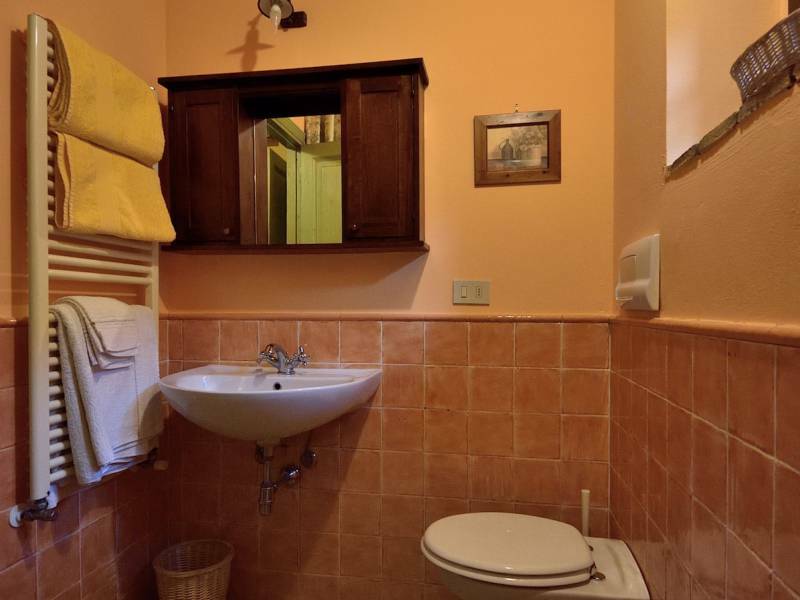 (1 set per week) and final cleaning. 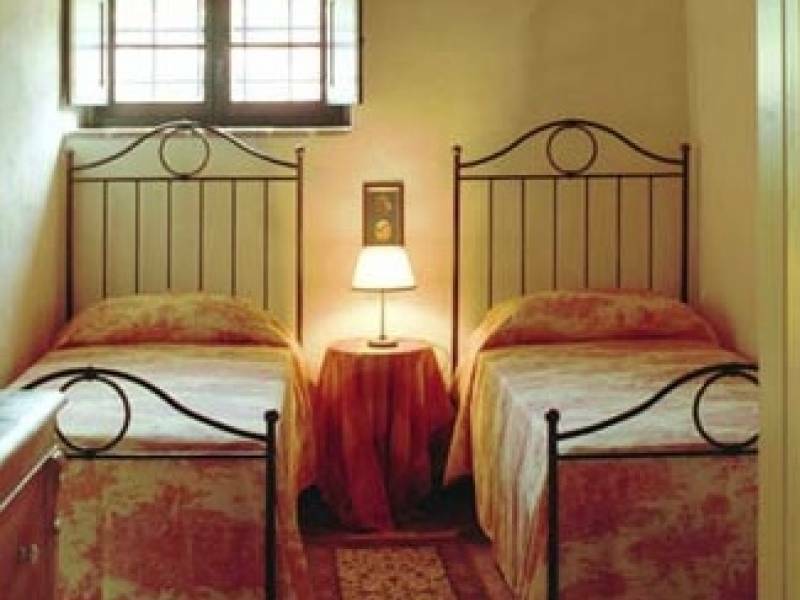 - Sofa bed (+2) available only for children under 12 years: € 10 per child/per day; max 2 per apartment. 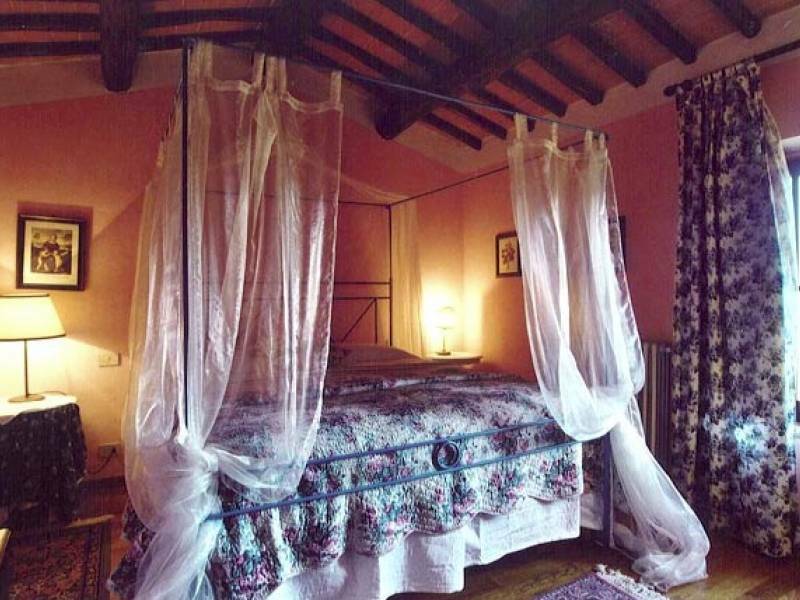 Minimum Stay 2 nights in low and mid season, 3 nights in high season.